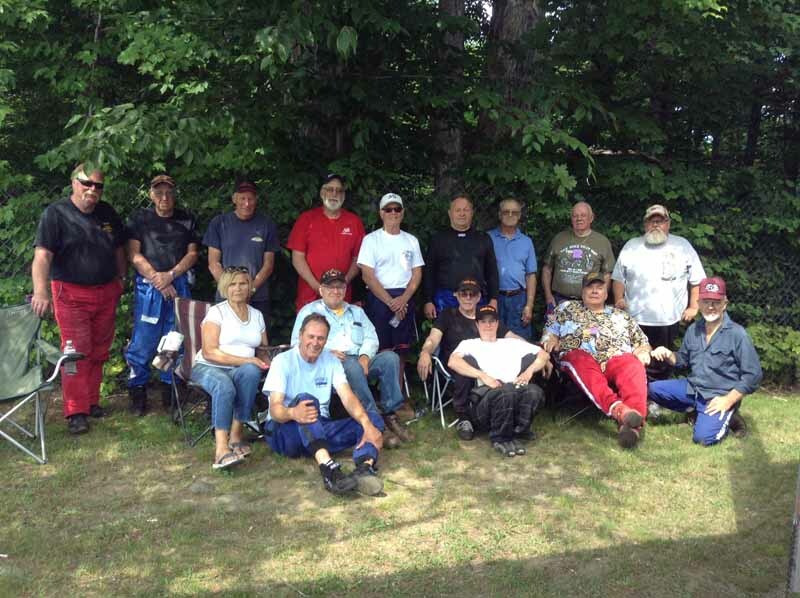 Saturday, July 29th, 2017 at 1:00 p.m. finds the southern New England contingent of NEAR gathering for both a static and running event. 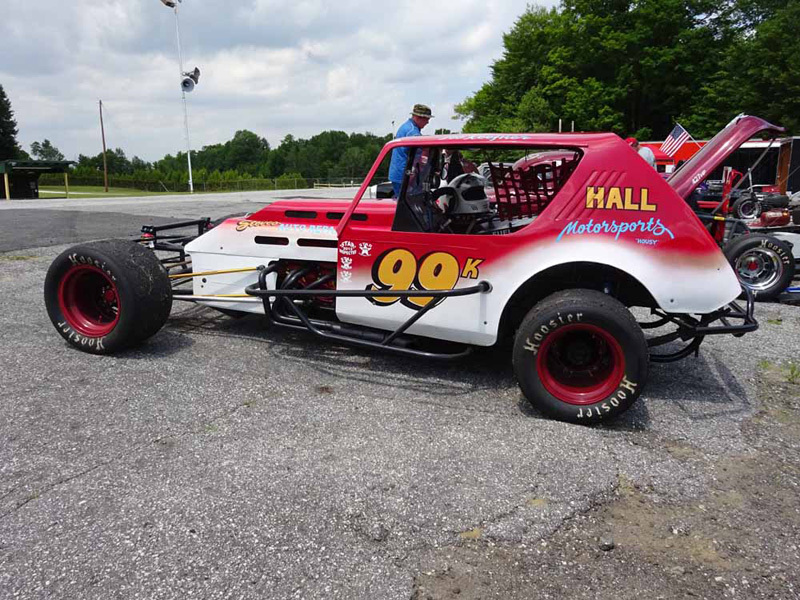 The NEAR Hall of Fame Truck will also be in attendance. 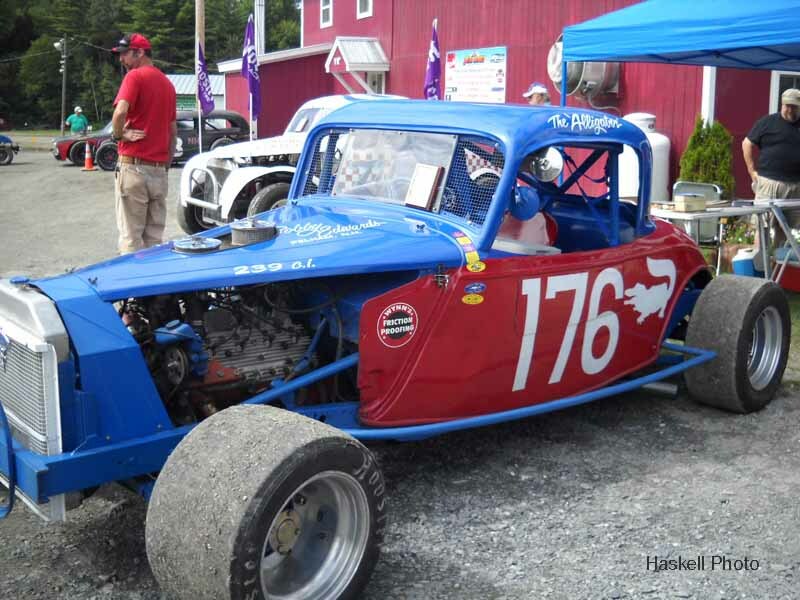 Waterford always runs a fine, fun filled event, with many fans perusing all the cars on display. 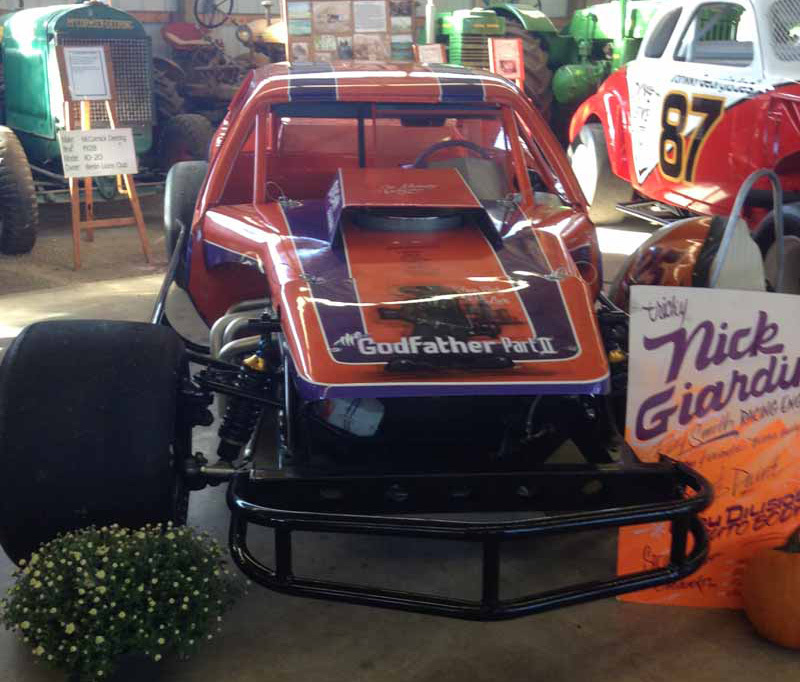 Come on down for a great day! 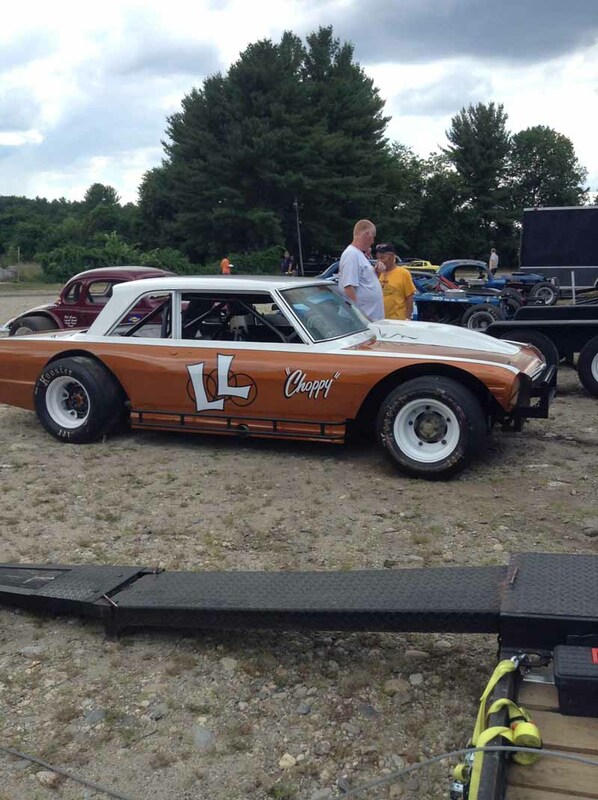 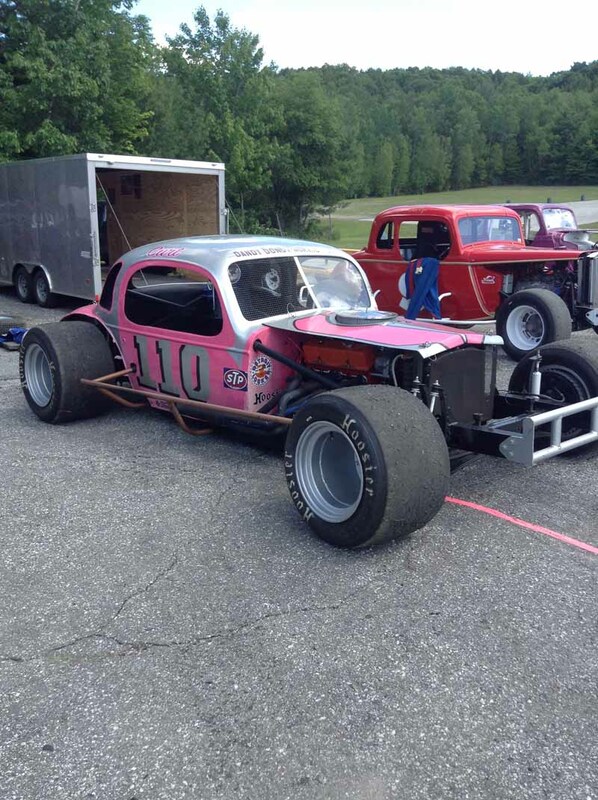 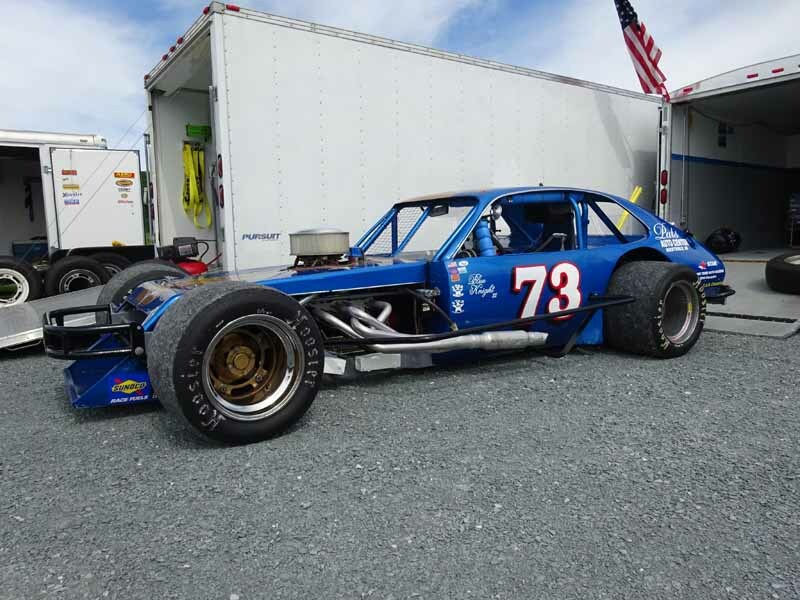 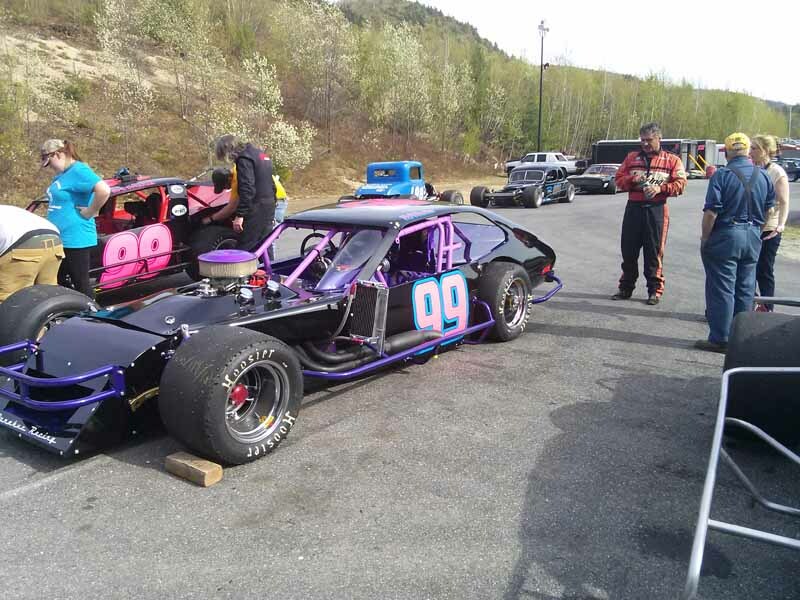 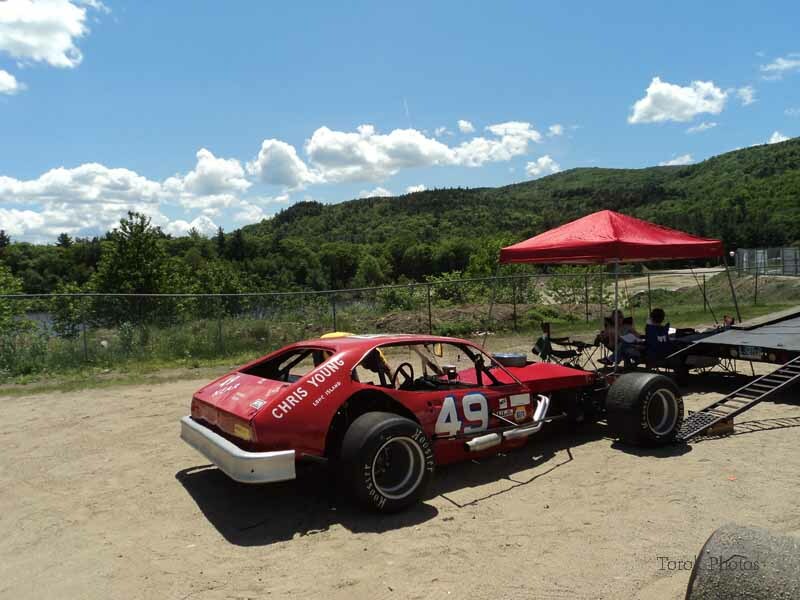 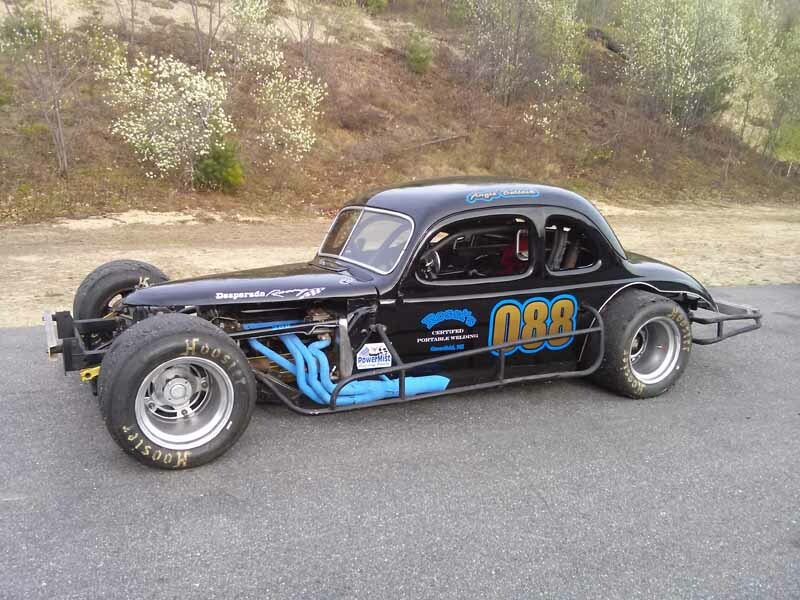 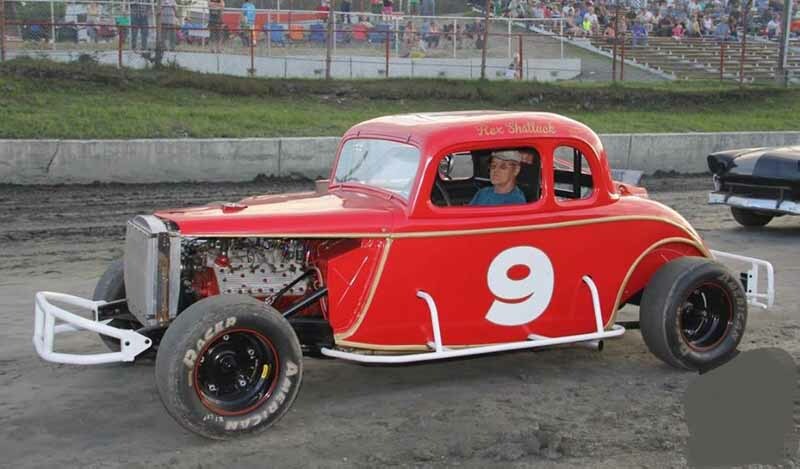 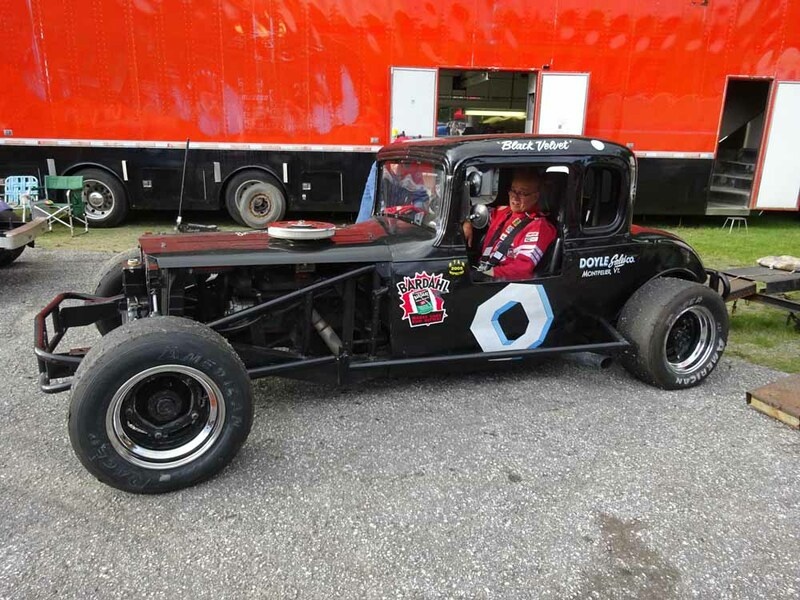 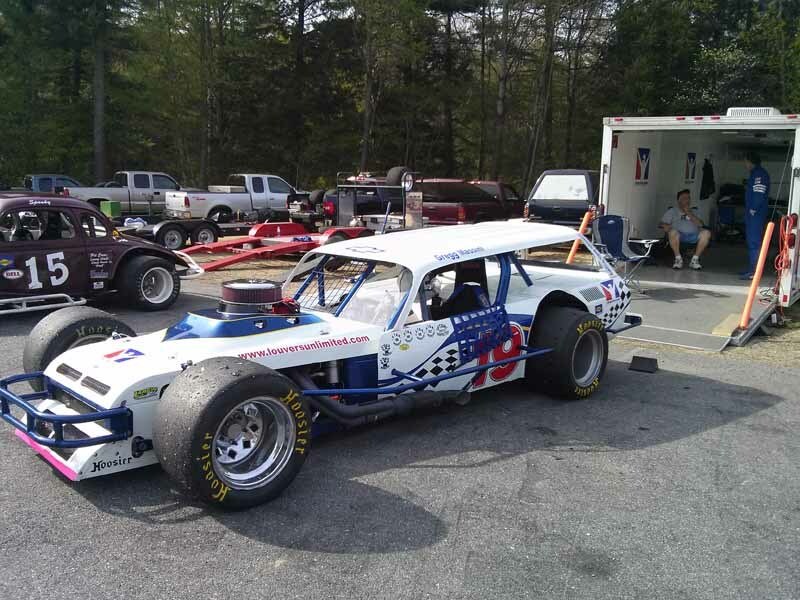 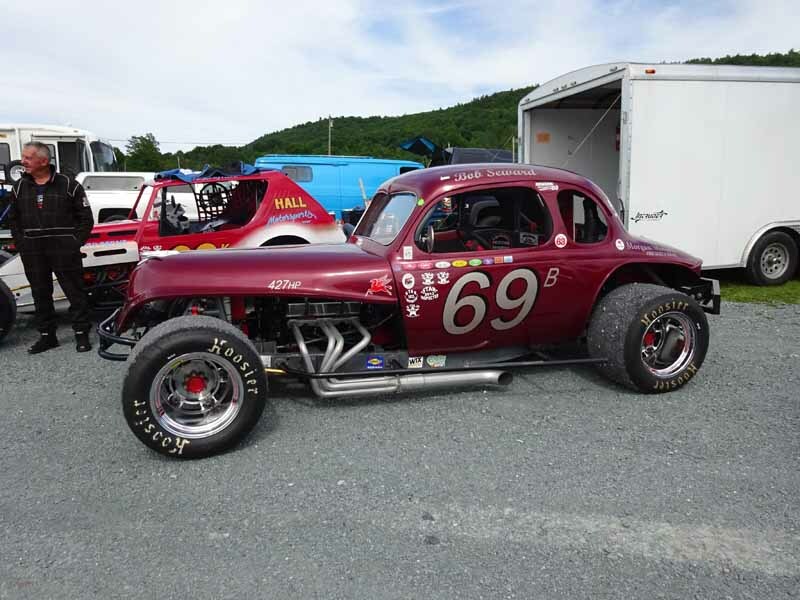 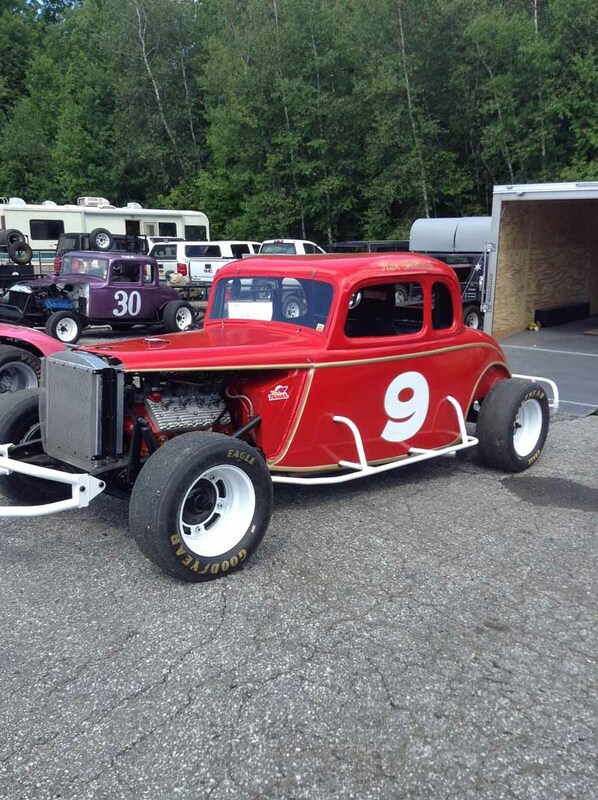 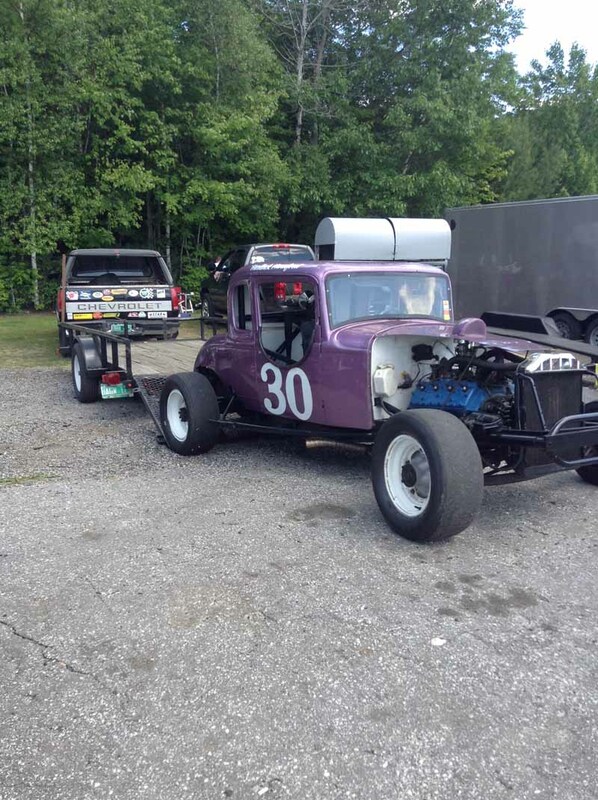 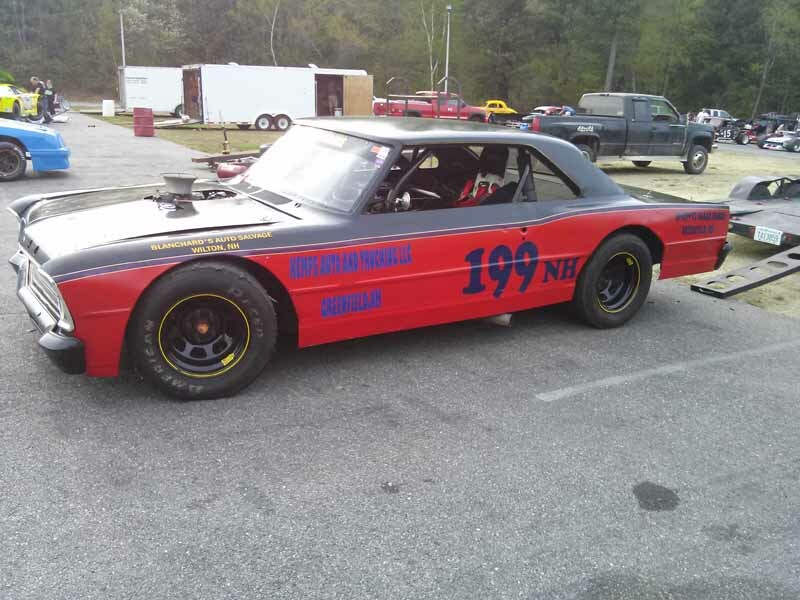 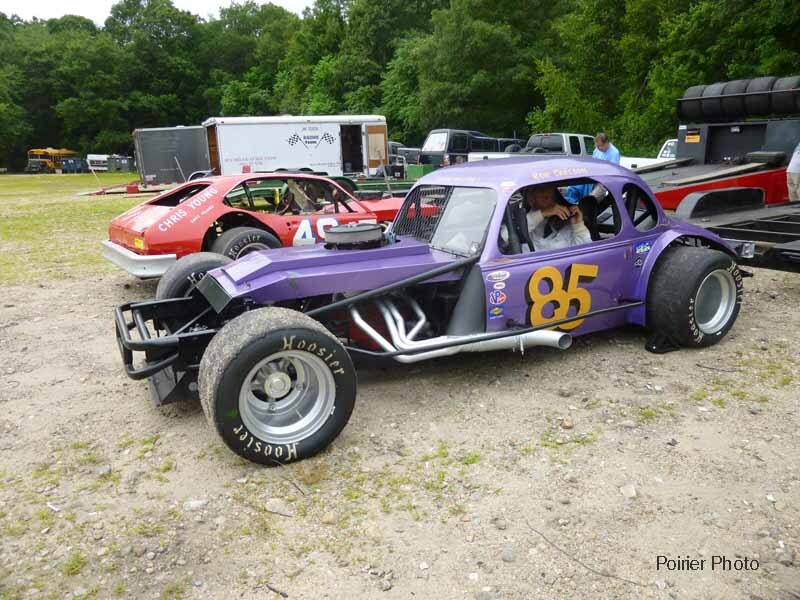 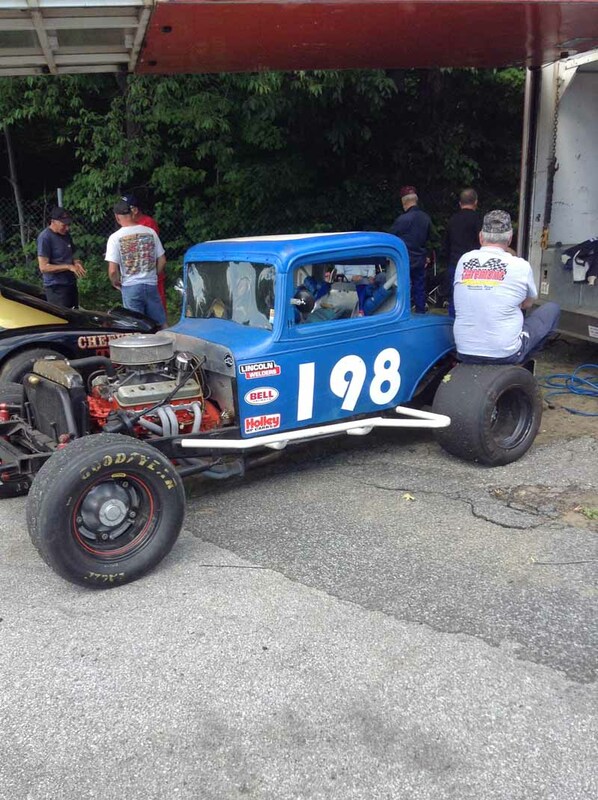 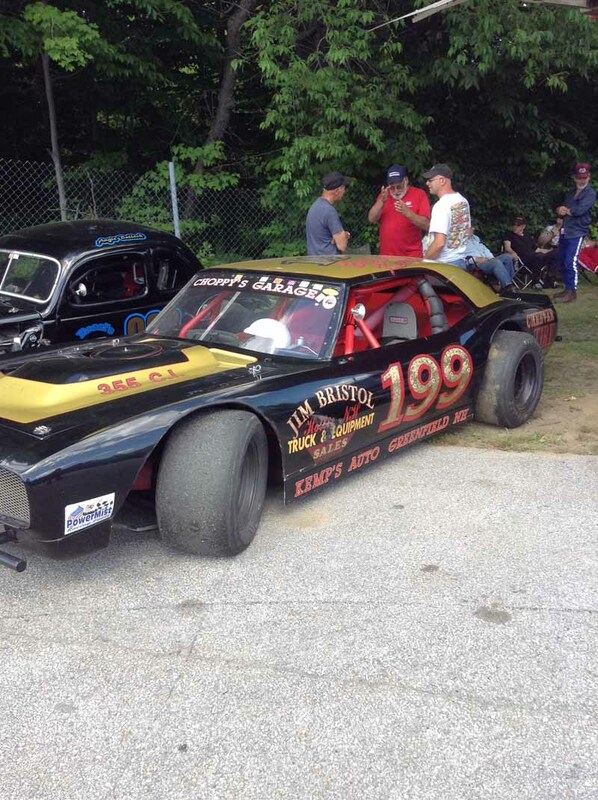 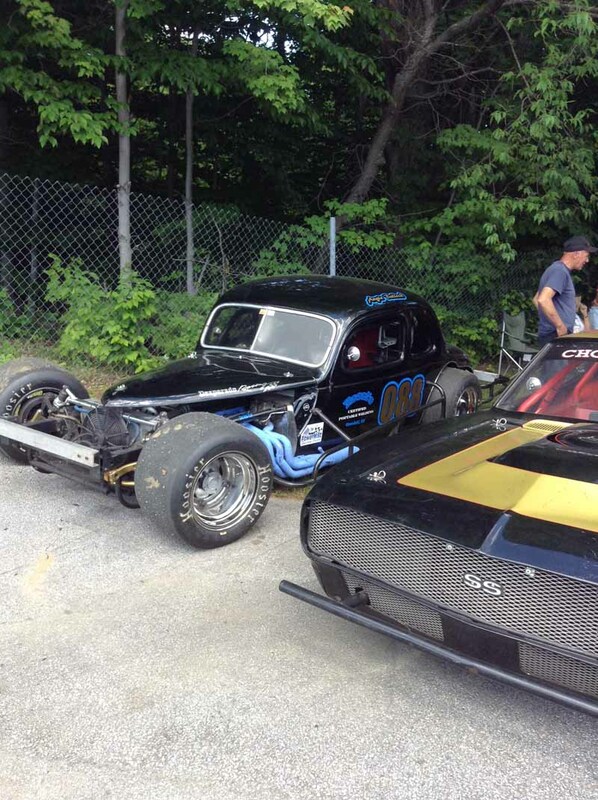 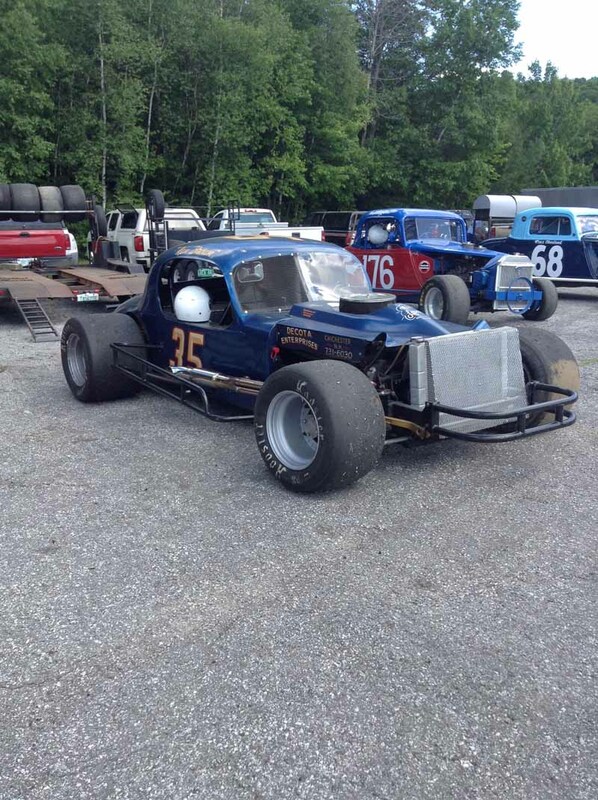 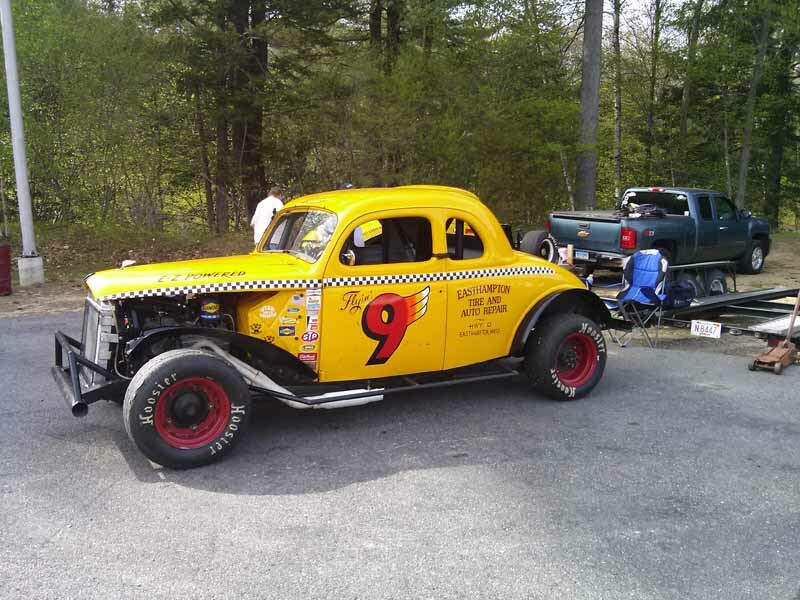 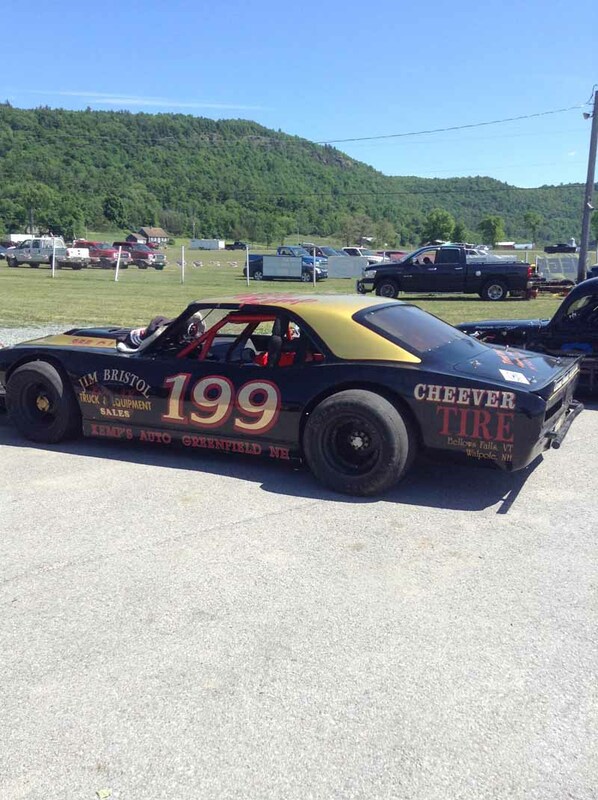 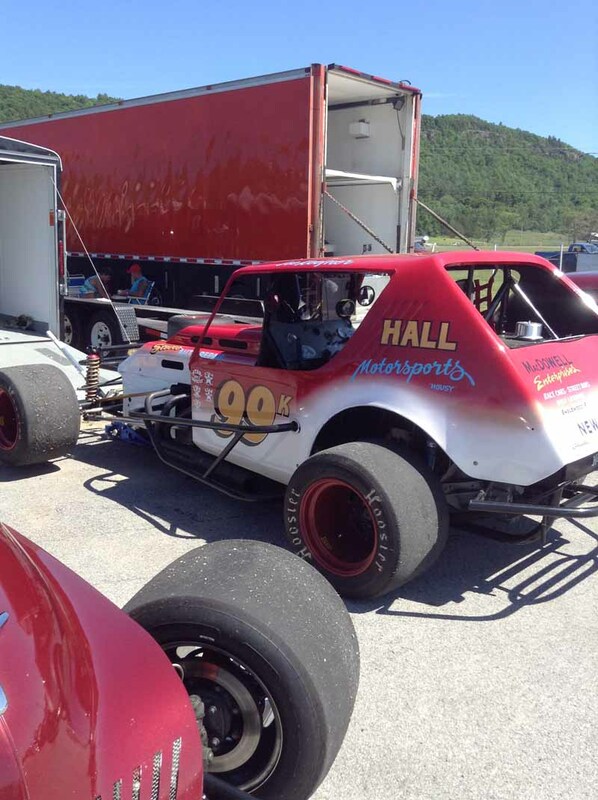 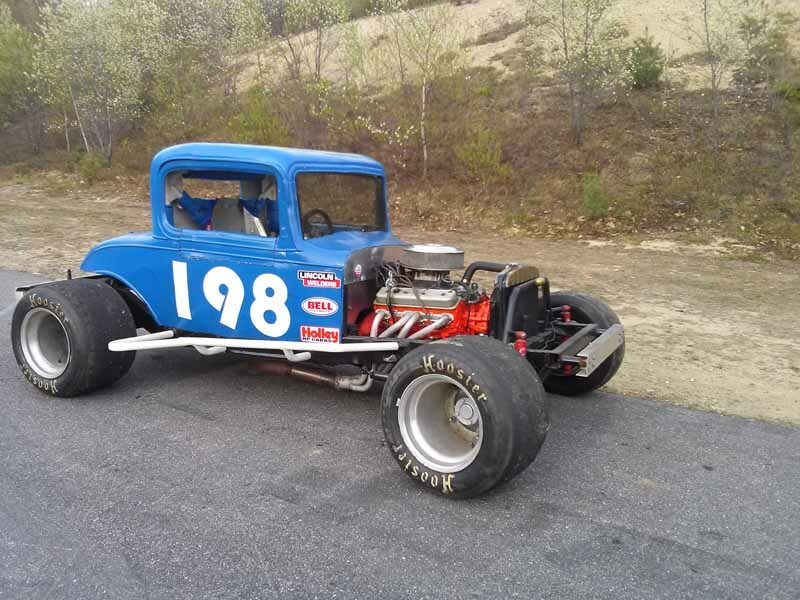 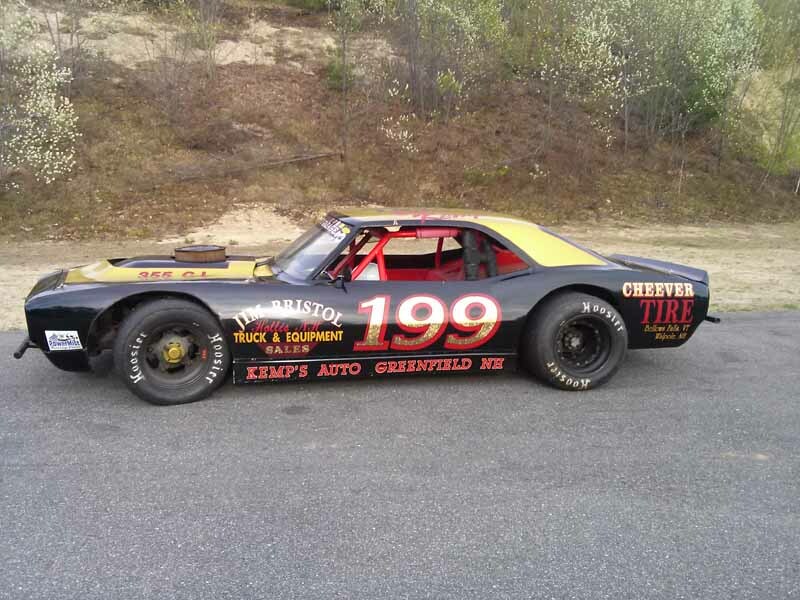 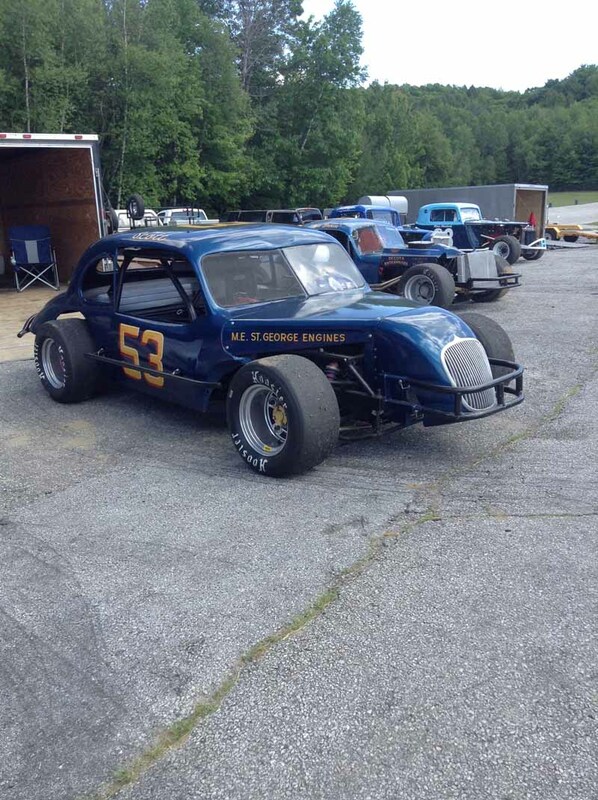 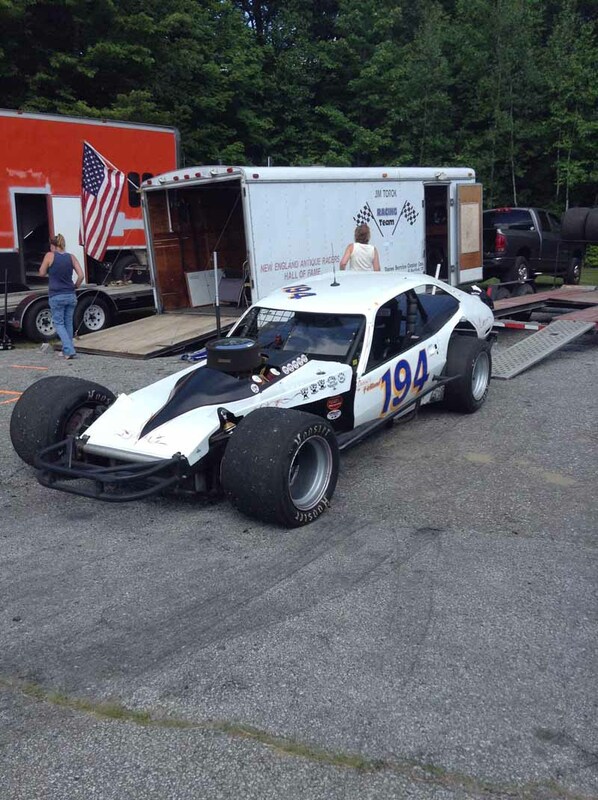 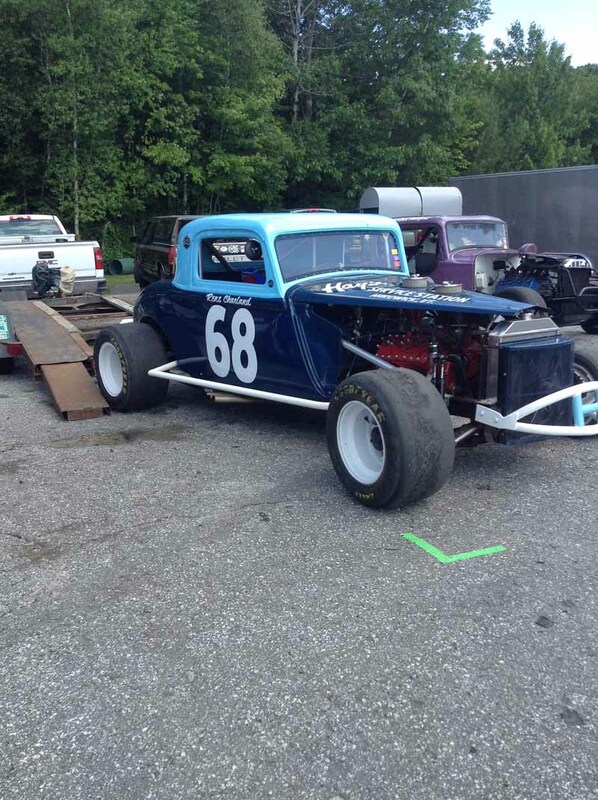 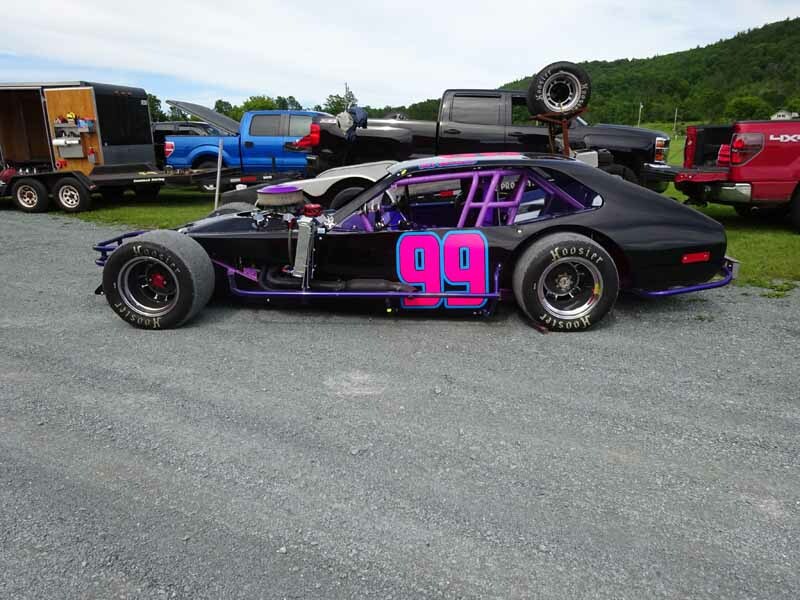 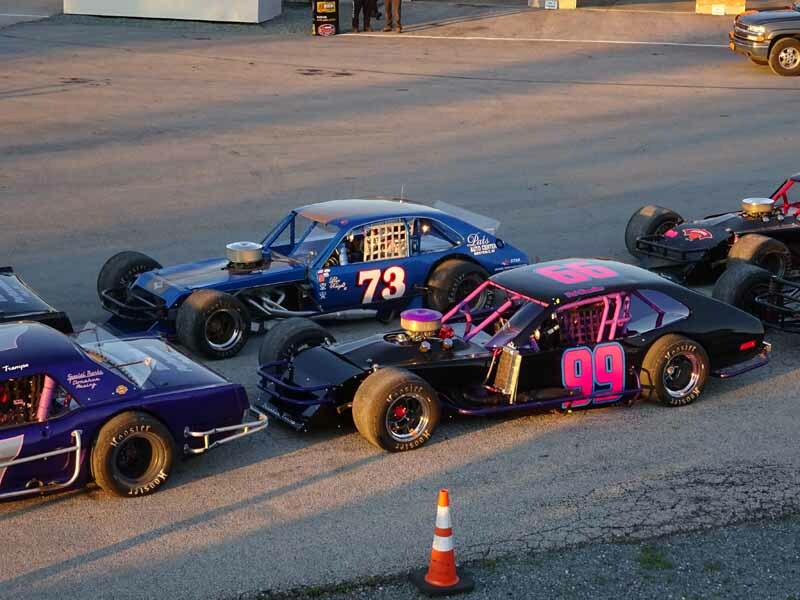 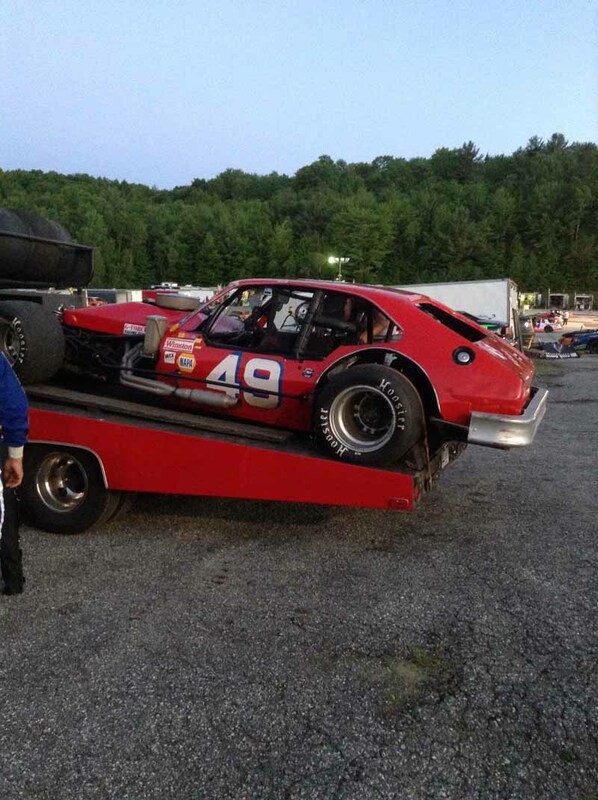 78 Craggy Road, Groveton, N.H.
Saturday, July 29th at 3:00 p.m. finds the Northern New England contingent of NEAR participating in a running show at Speedway 51 in New Hampshire. 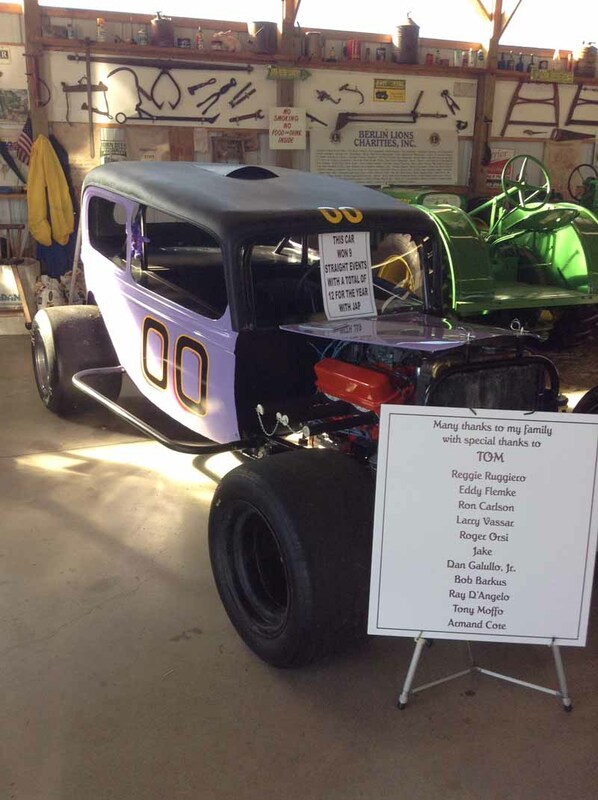 Always a good time to be had with the fans from up north, make this show if you are in the area. 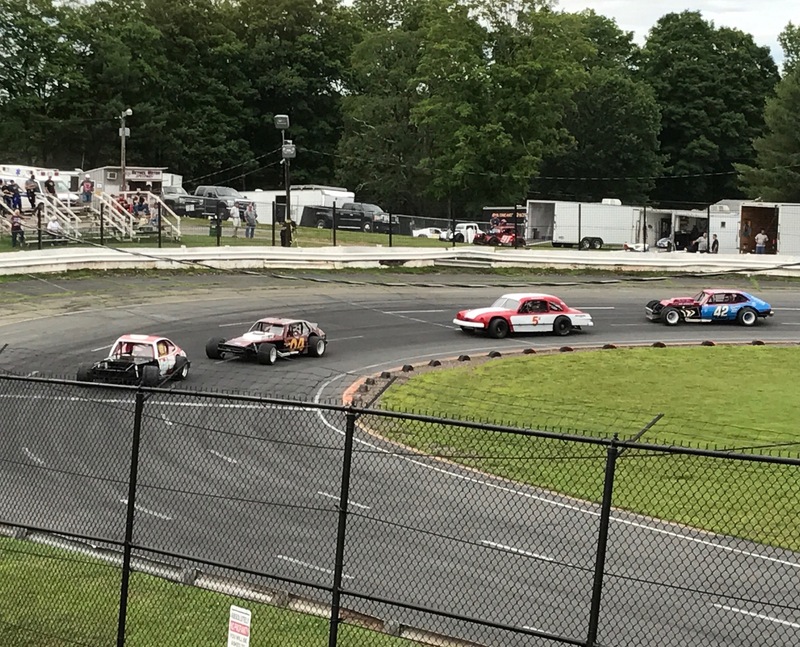 Promoter Mike Hager of the Bethel Motor Speedway presented a program entitled ‘Remembering Danbury’ on Saturday, July 15th, 2017. 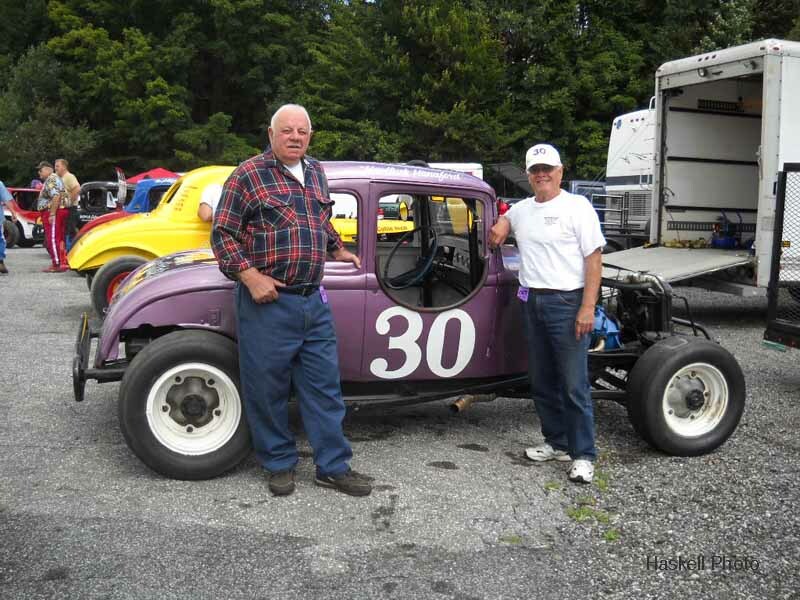 Present for the festivity was Charter member of the SNYRA and EV’s fellow racer Nick Giardina who, along with his wife Betty, served as Co-Grand Marshalls for the evenings events. 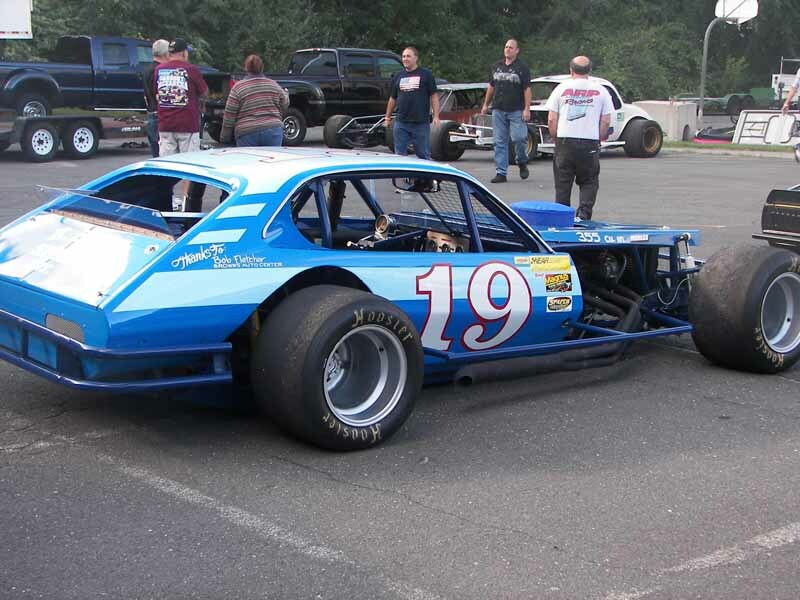 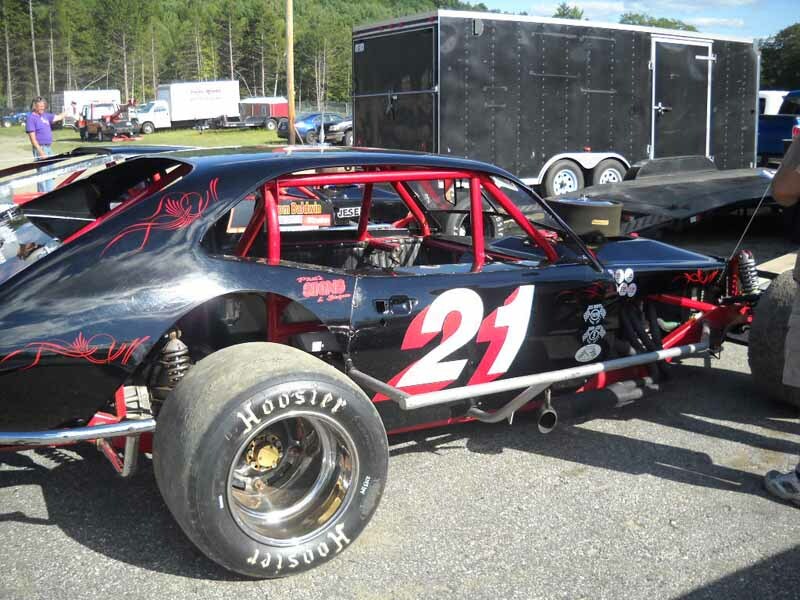 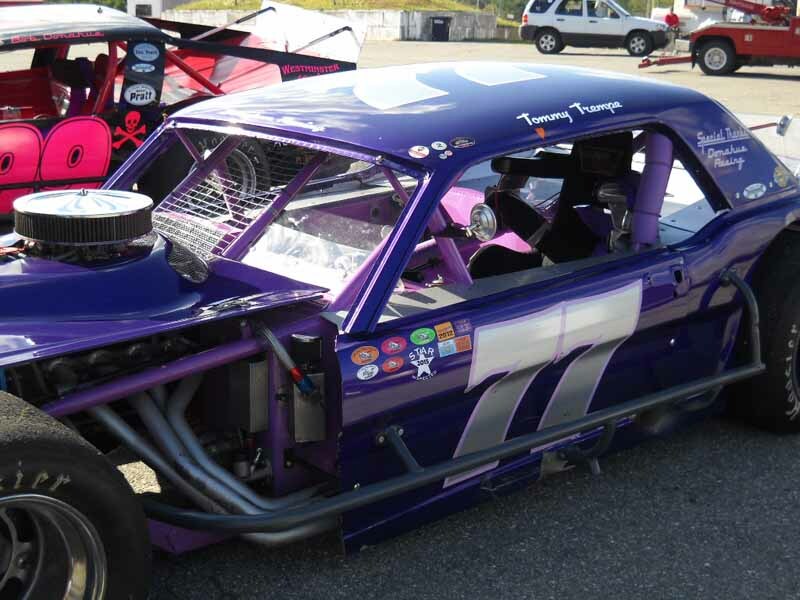 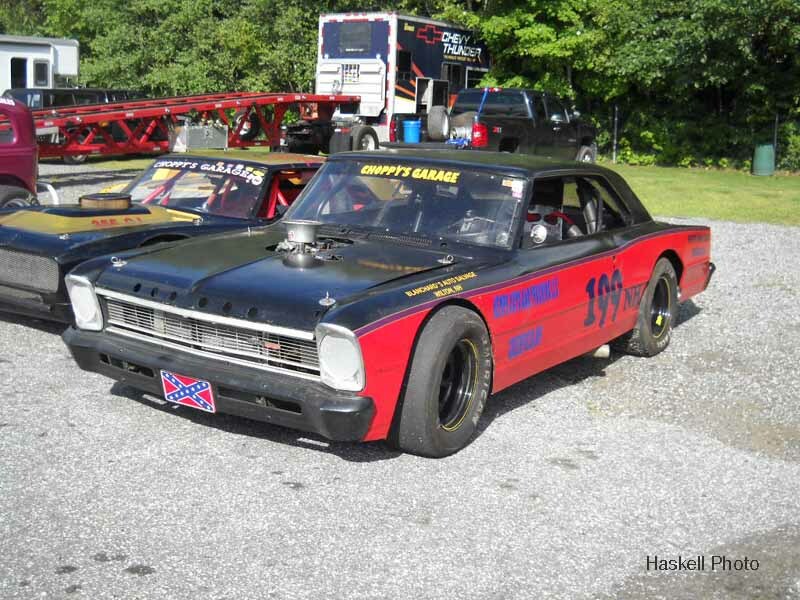 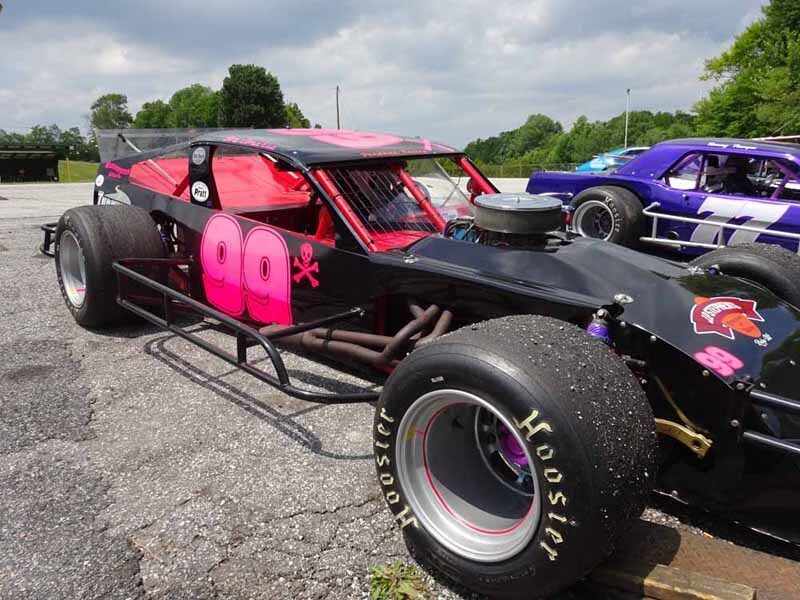 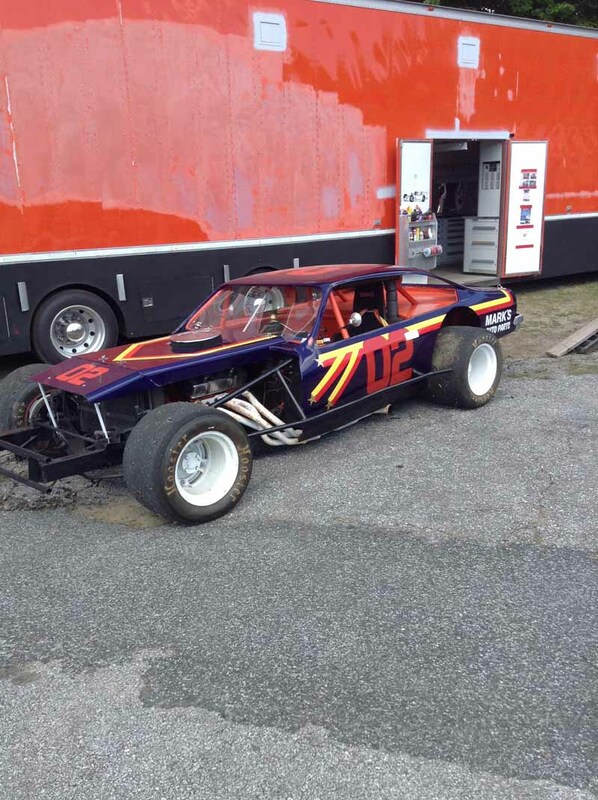 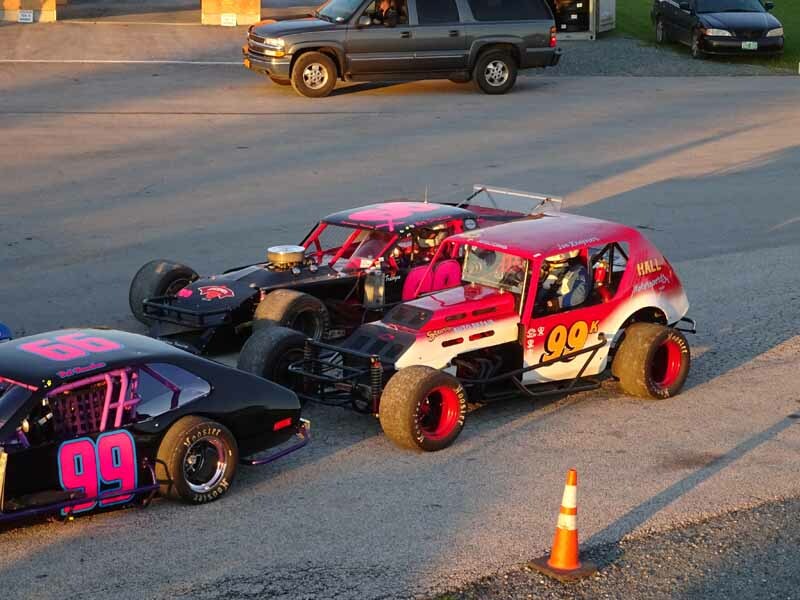 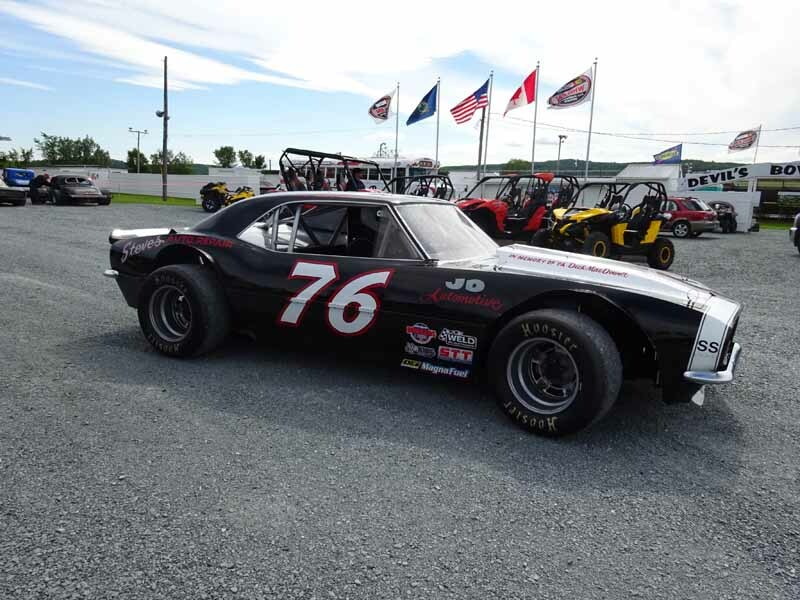 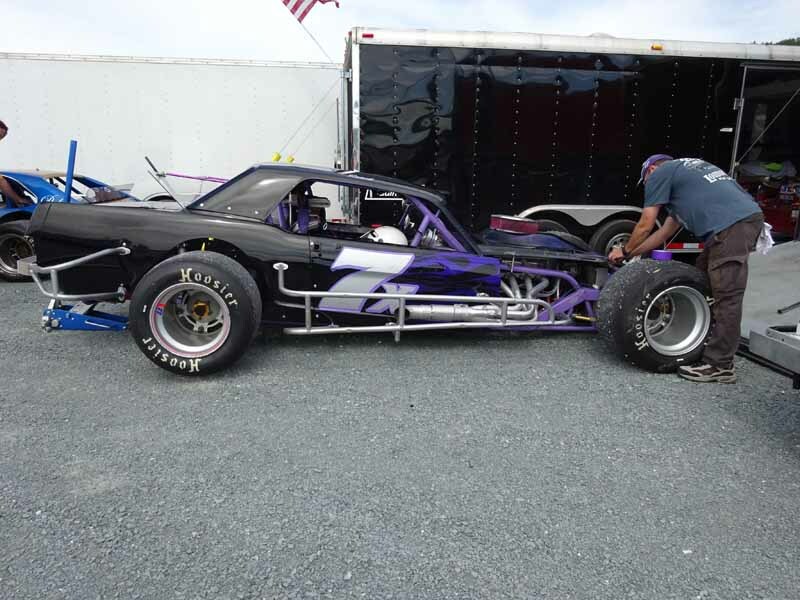 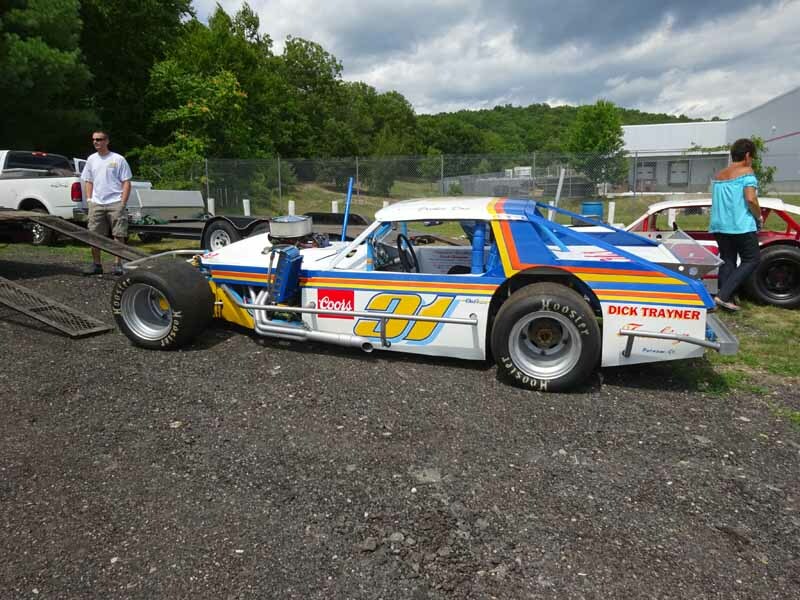 Don Lajoie donated prize money for the extra distance event for the Modified racers as well as the trophy. 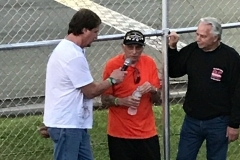 Many members of EV’s family were present to enjoy the event. 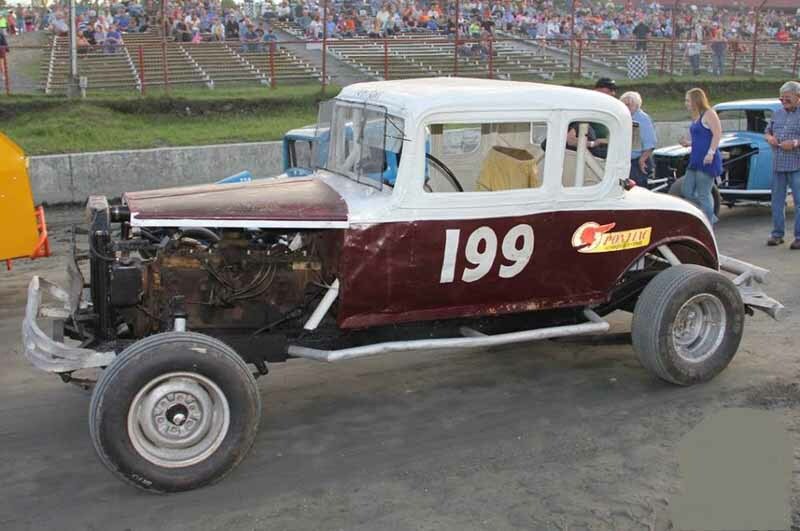 In the name of Lajoie Wrecking and Auto Parts the 50 lap EV Pierce memorial race was run. 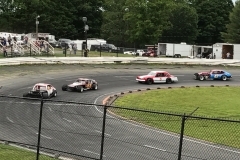 The winner in a closely contested modified feature was Culhane who completed an outside pass to win after running wheel to wheel for over 25 laps with Cote. 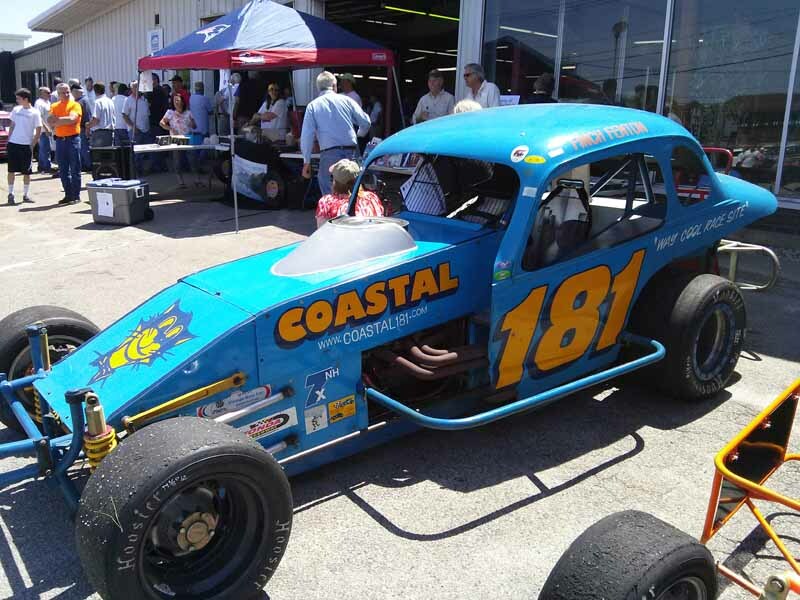 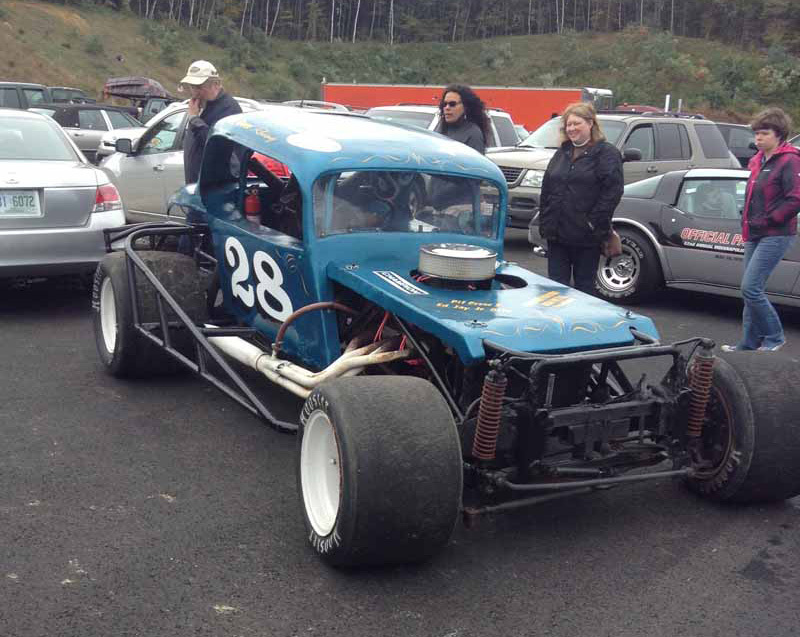 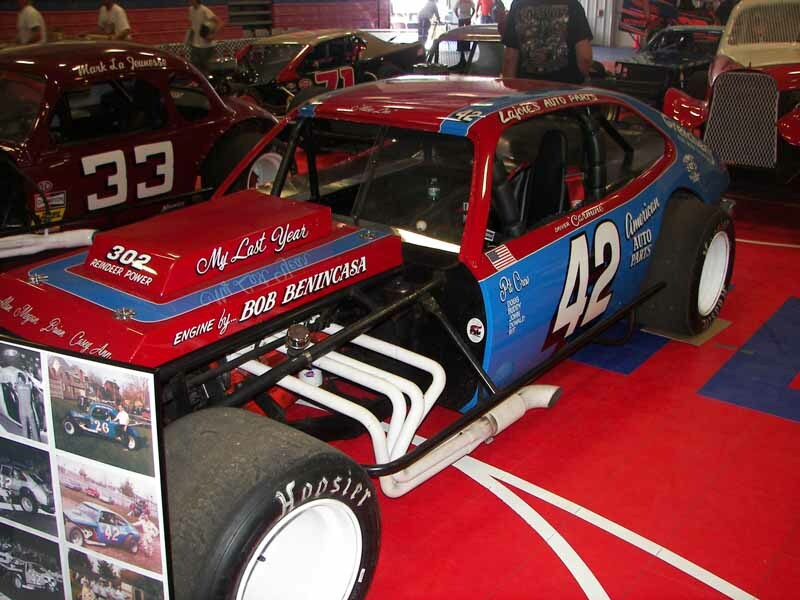 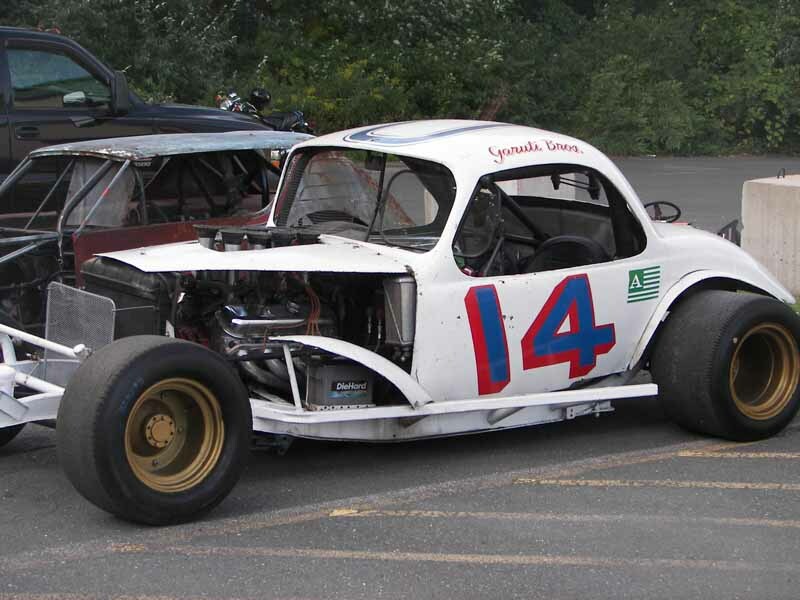 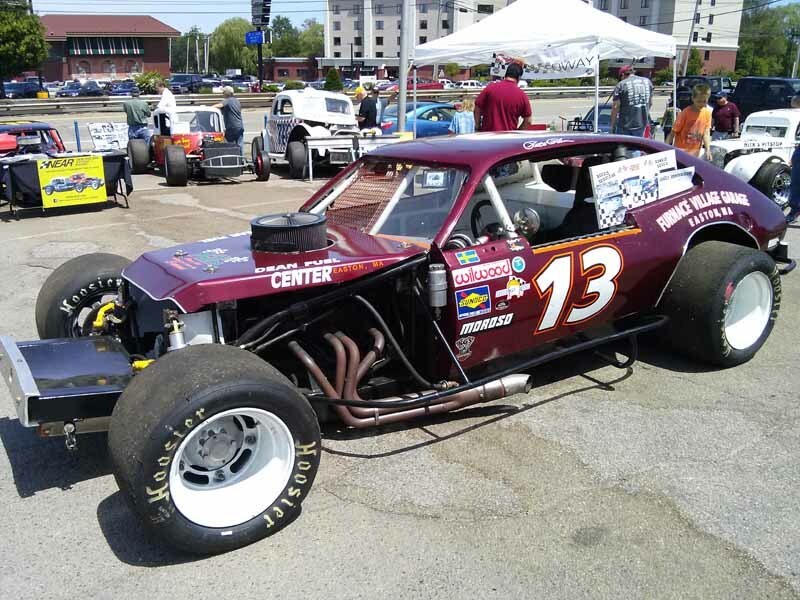 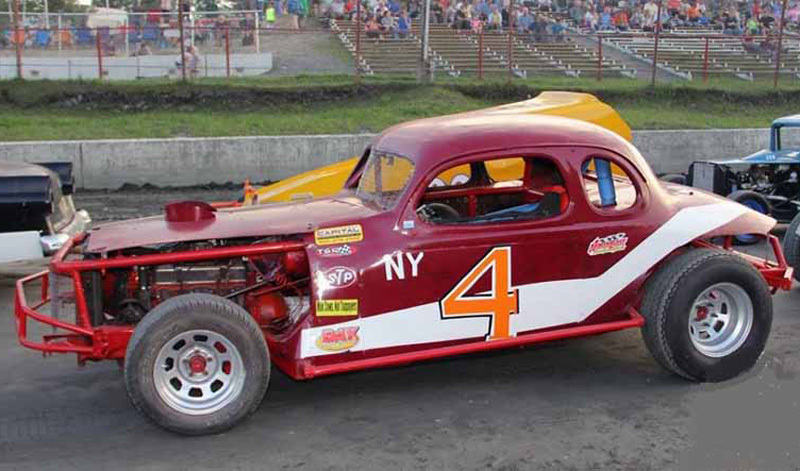 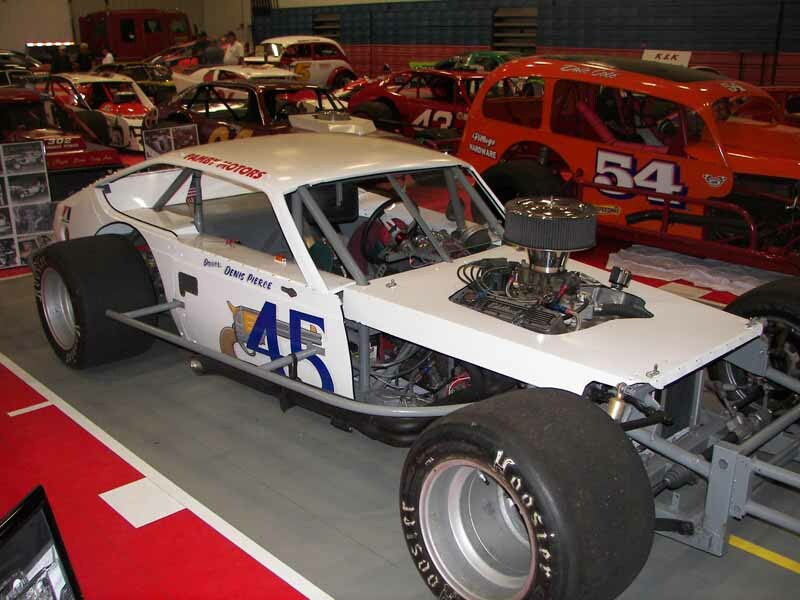 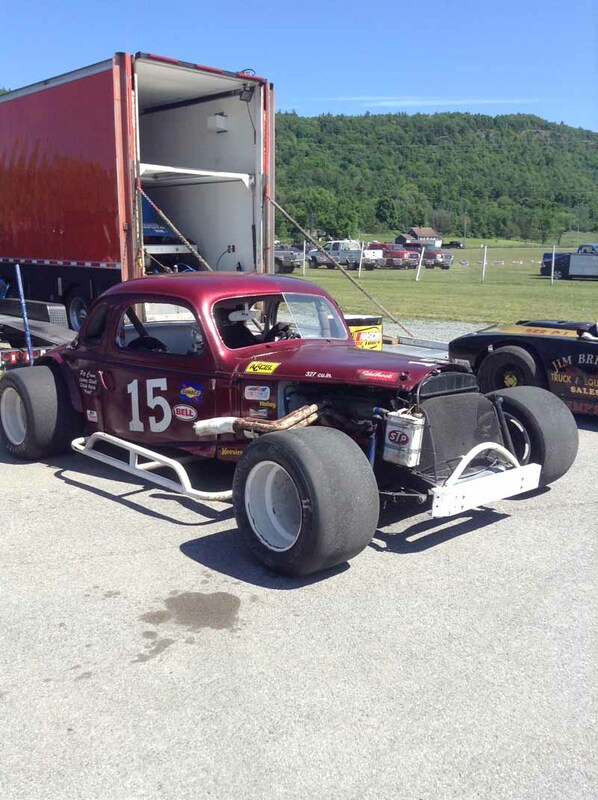 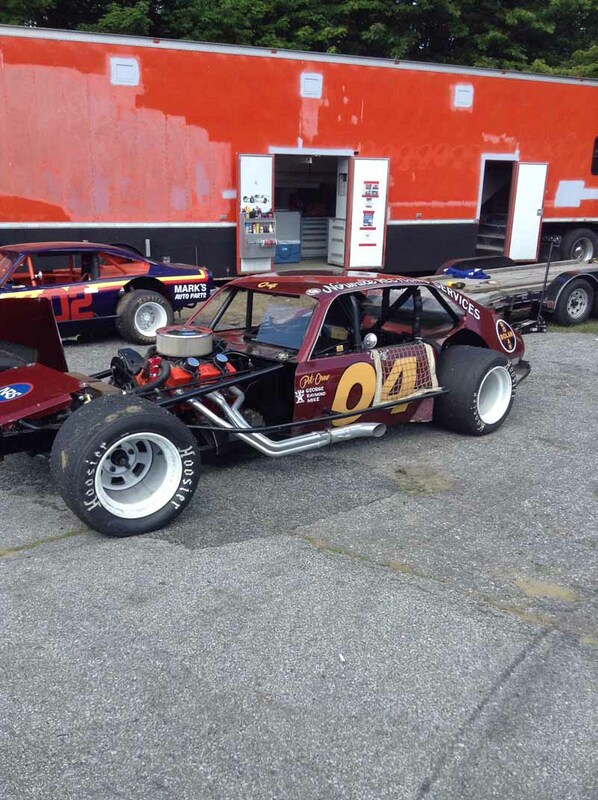 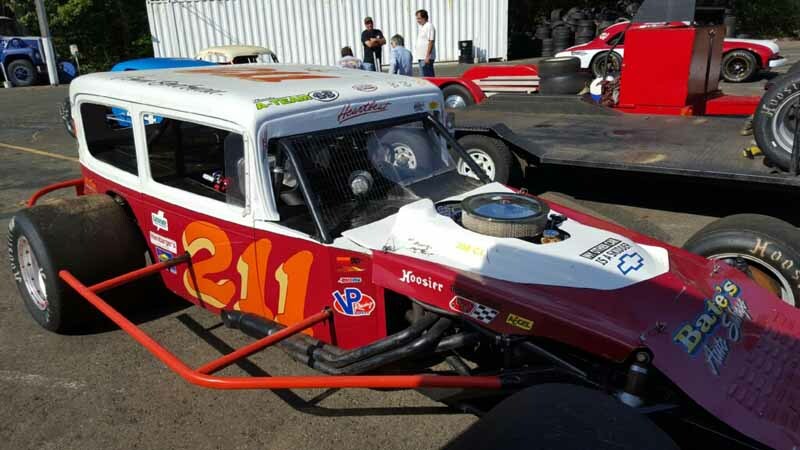 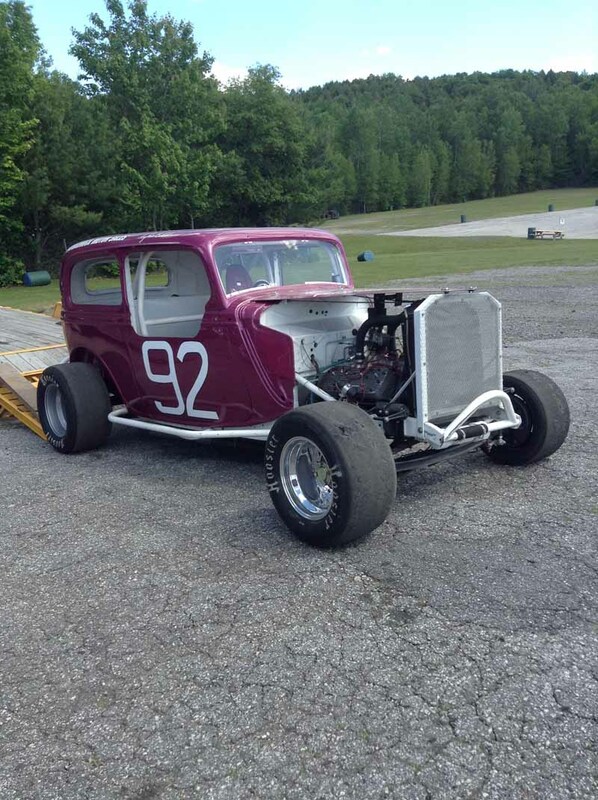 Taking to the track as part of the celebration was former Danbury racer Art Knapp in his # 40 ford Pinto. 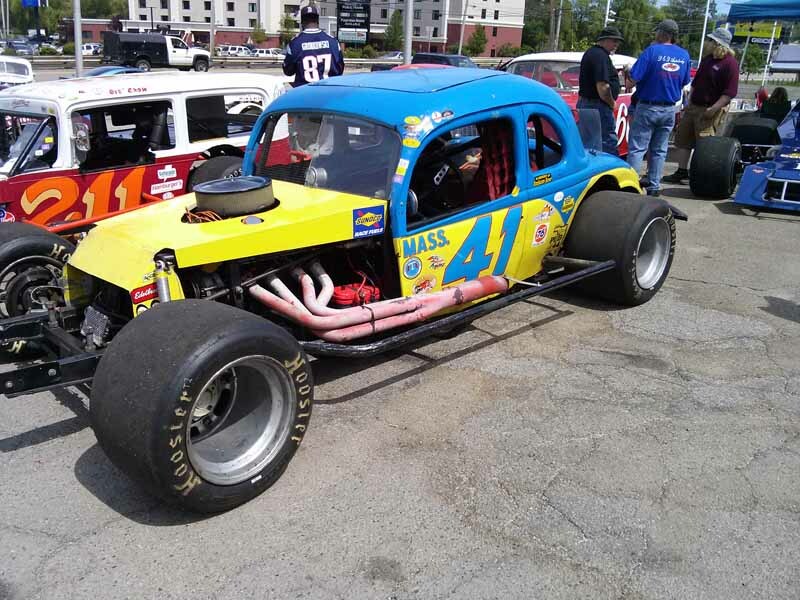 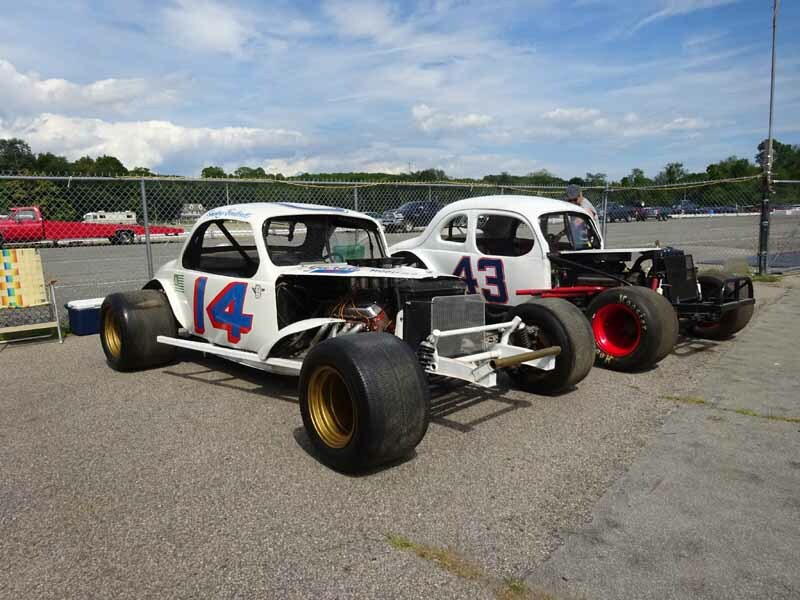 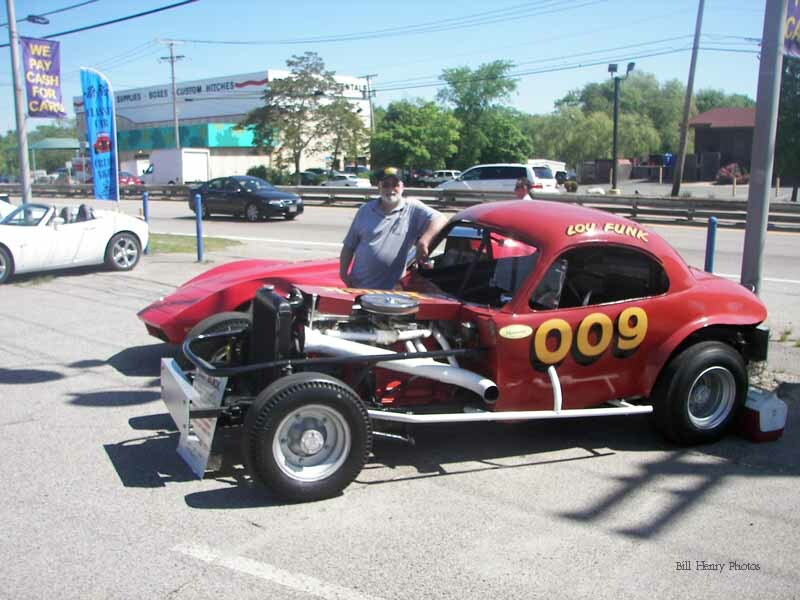 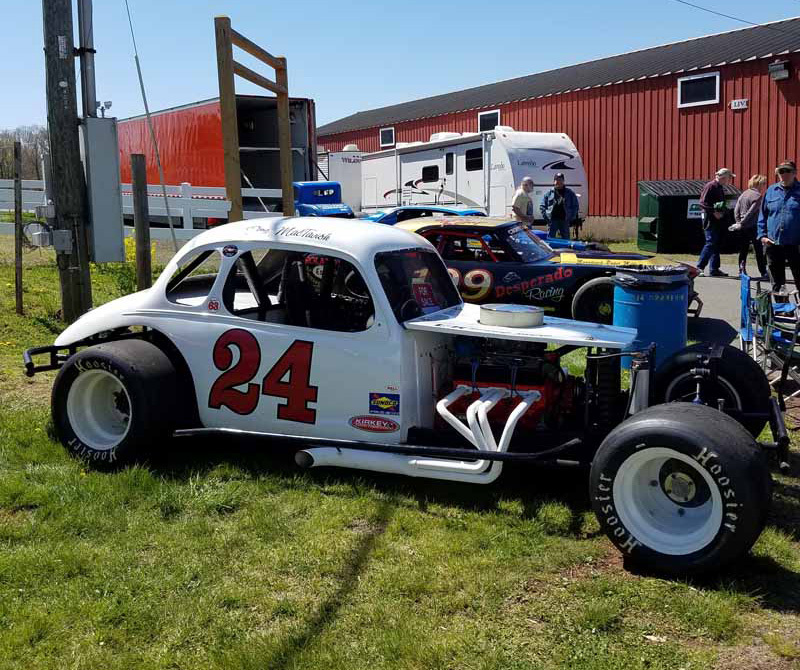 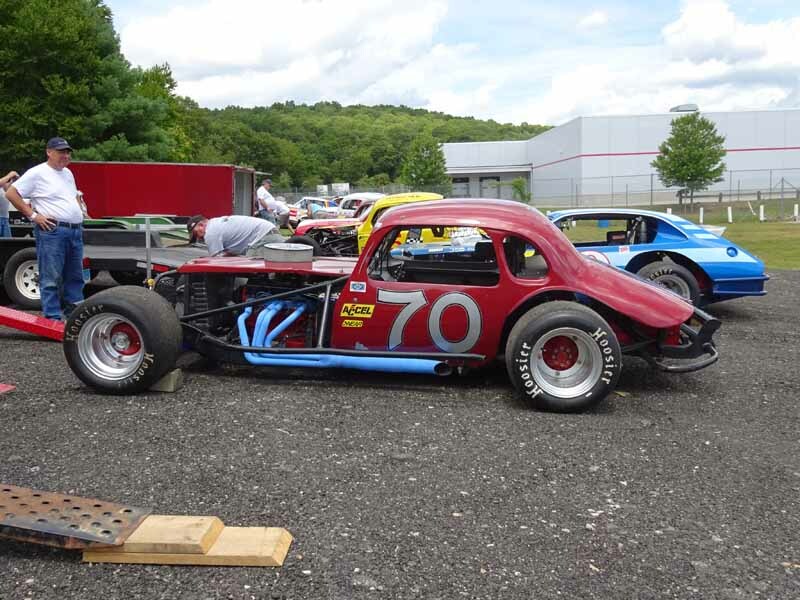 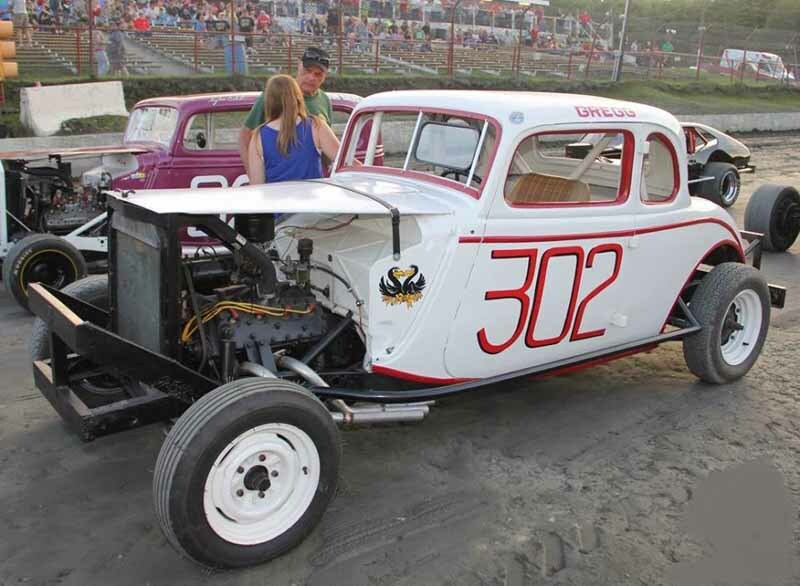 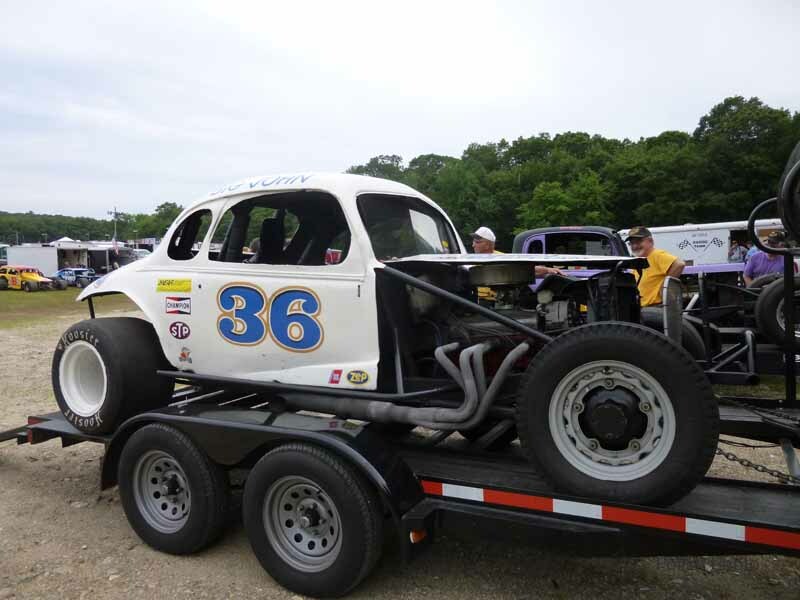 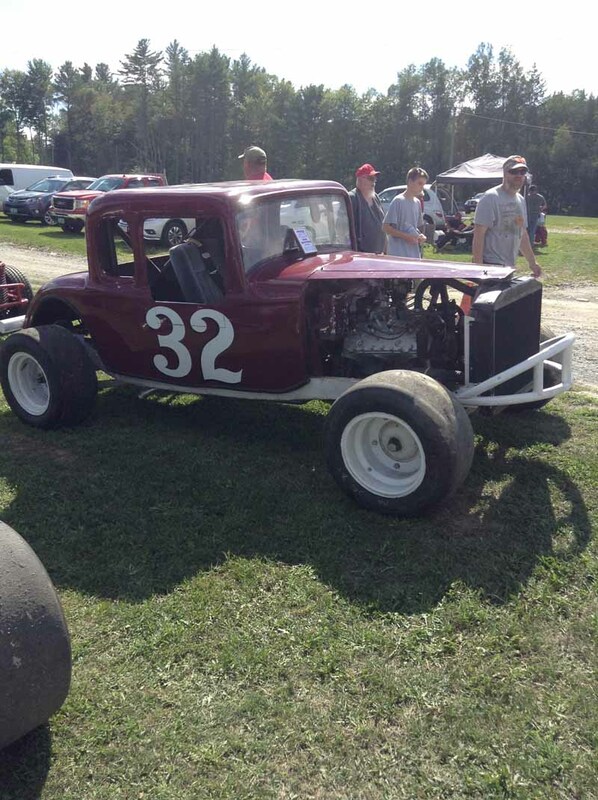 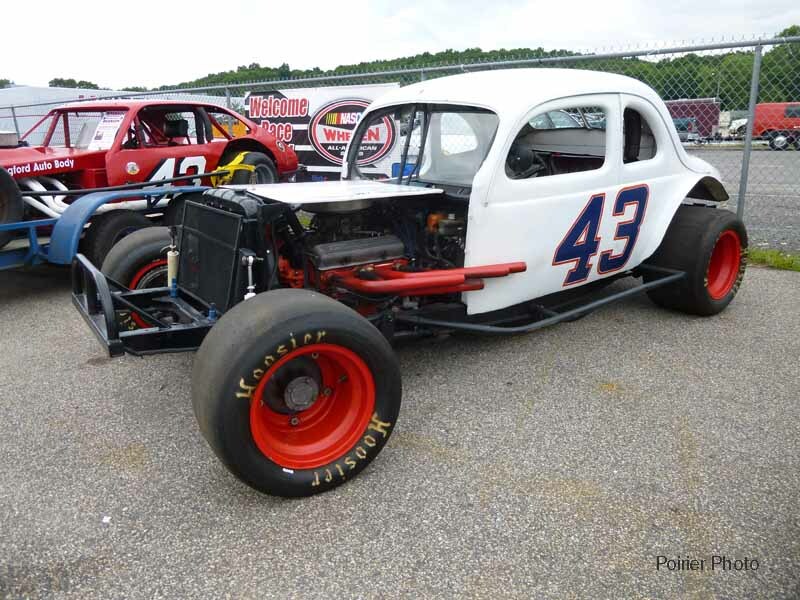 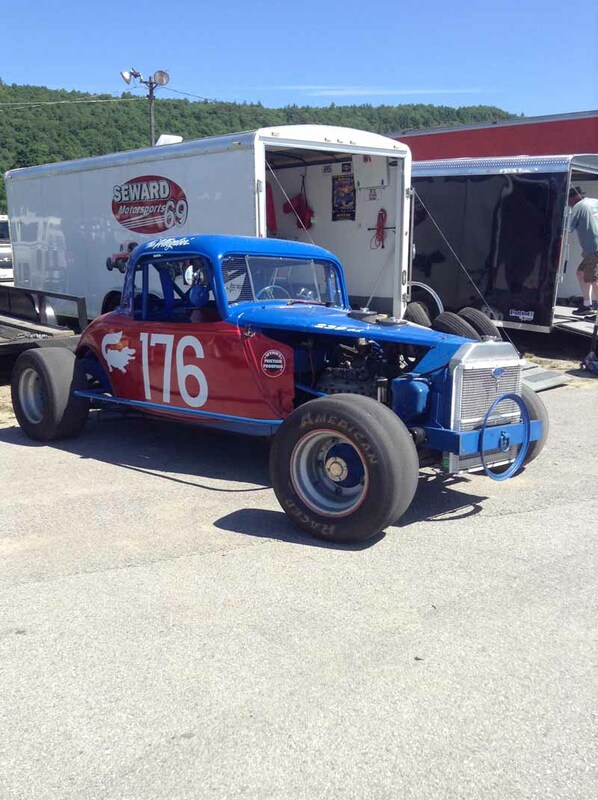 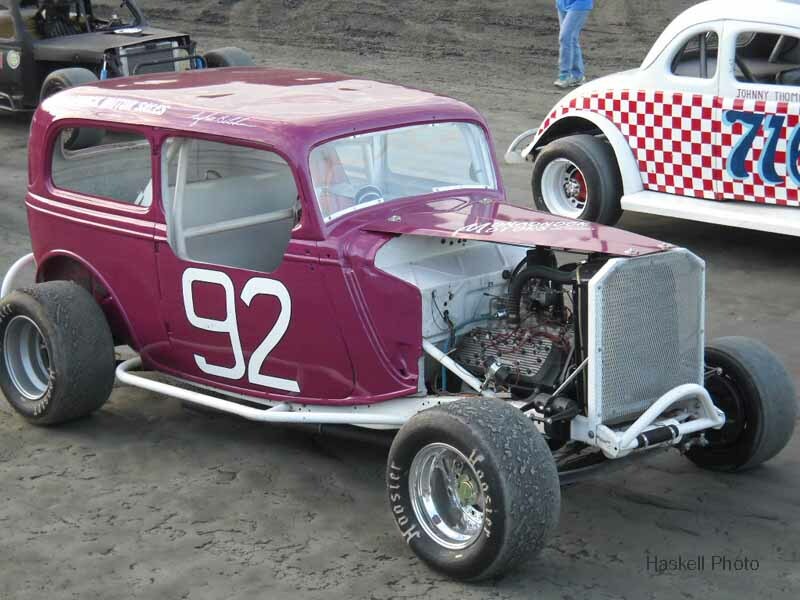 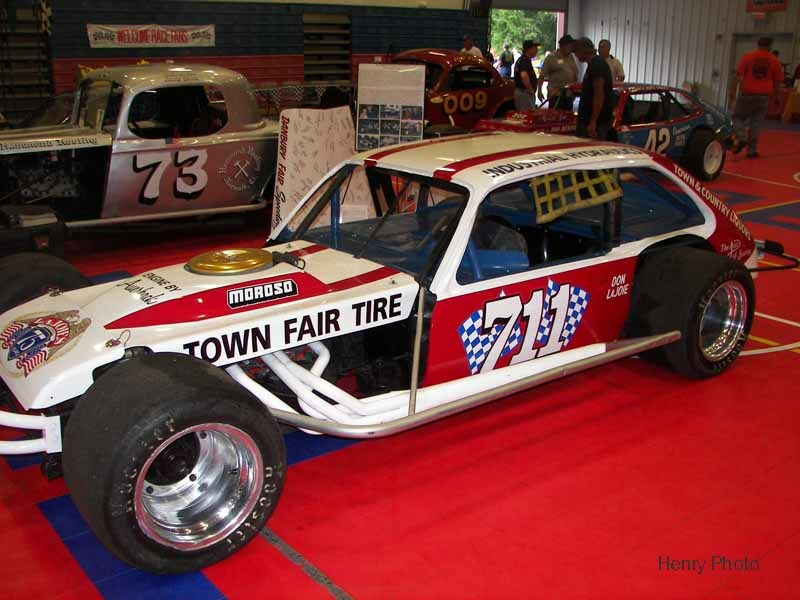 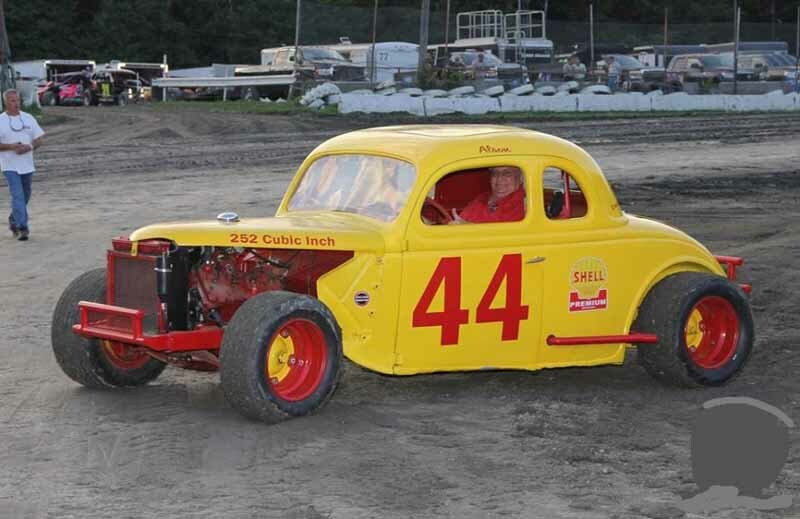 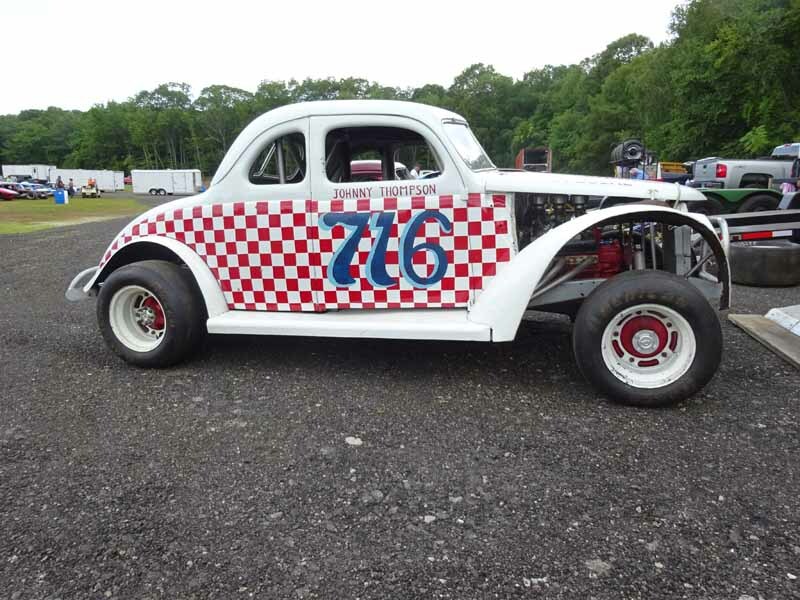 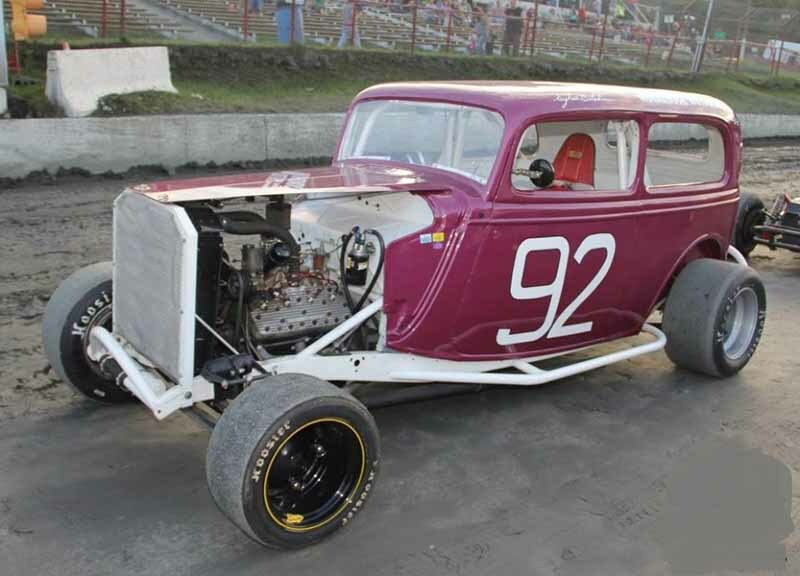 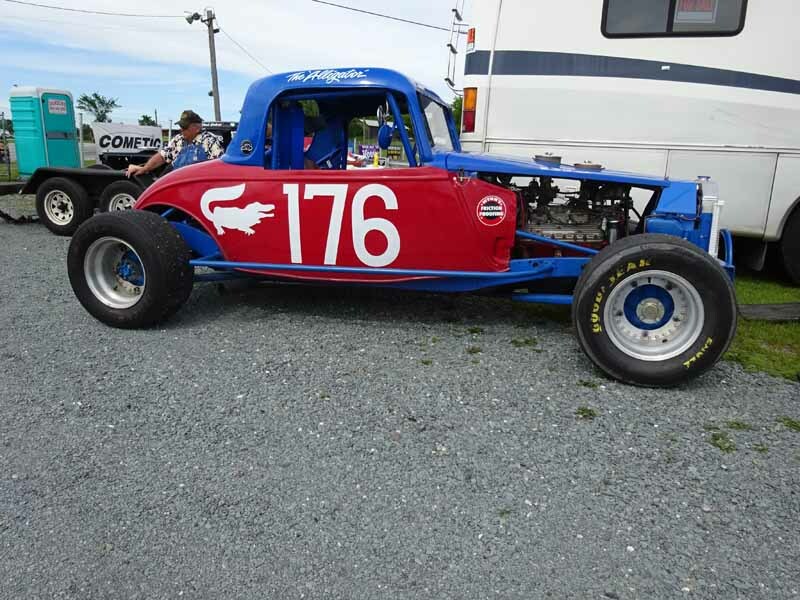 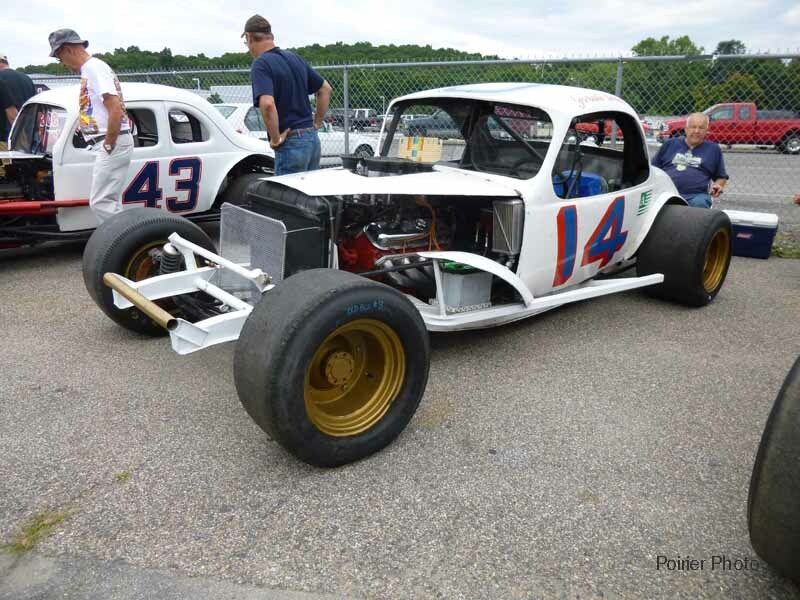 Representing New England Antique Racers (NEAR) were George Cleveland in the 1950 ford business coupe 5X, Jim Torok was in the 04 Pinto of Danbury racer Corky Cookman, and Alan Benincaso was behind the controls of the # 42 Pinto which his dad Carmine campaigned at Danbury. 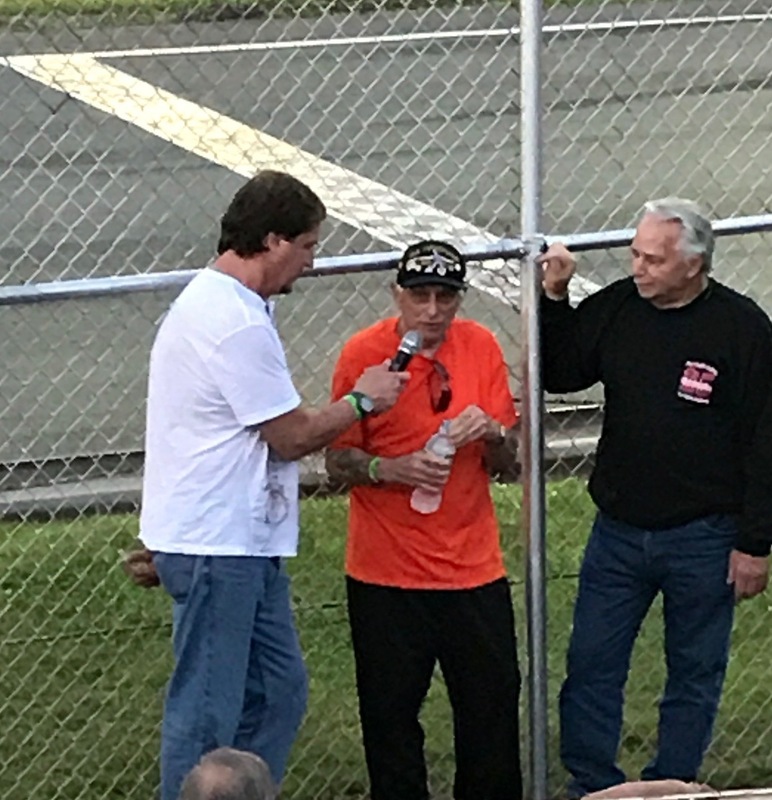 Harry Hansen, a former Danbury racer, was on hand as vintage announcer for the evening. 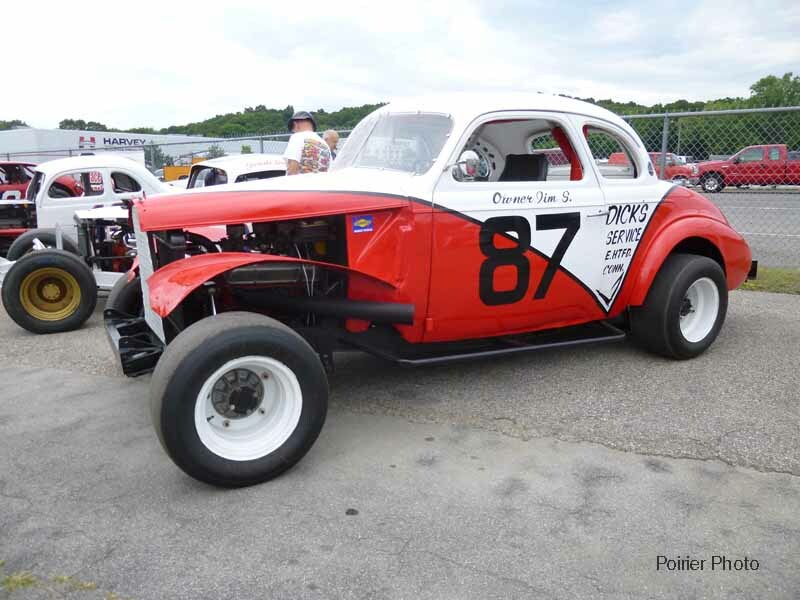 Harry, who is very active with the Danbury Reunion every year, was able to tell the history of the cars as they appeared on the track. 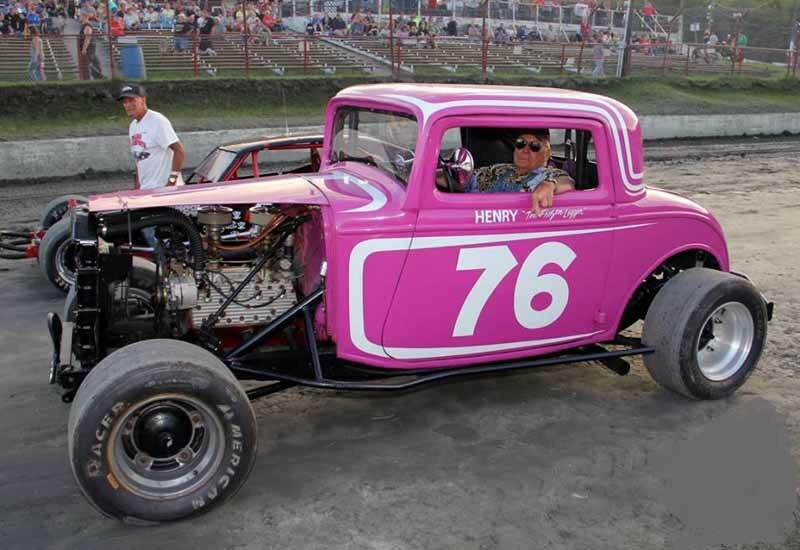 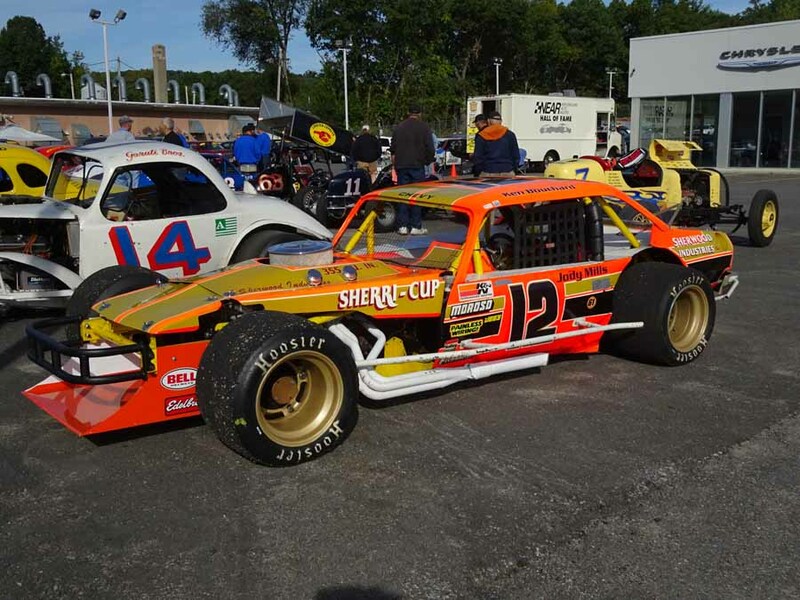 Harry knows the history of each car and the present day driver, which added a very personal touch for the many Danbury folks who were in the stands. 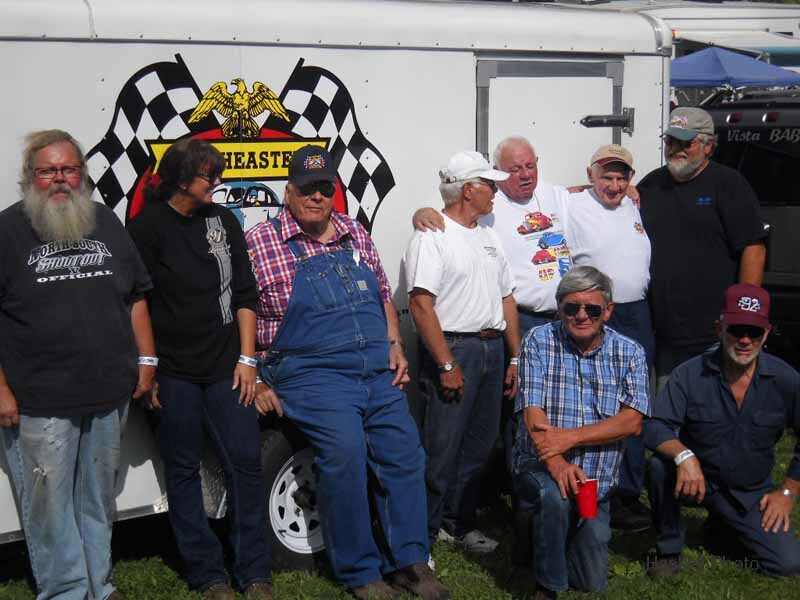 Danbury Racearena shirts from the numerous years that the reunion has been held were visible in abundance in the spectator areas. 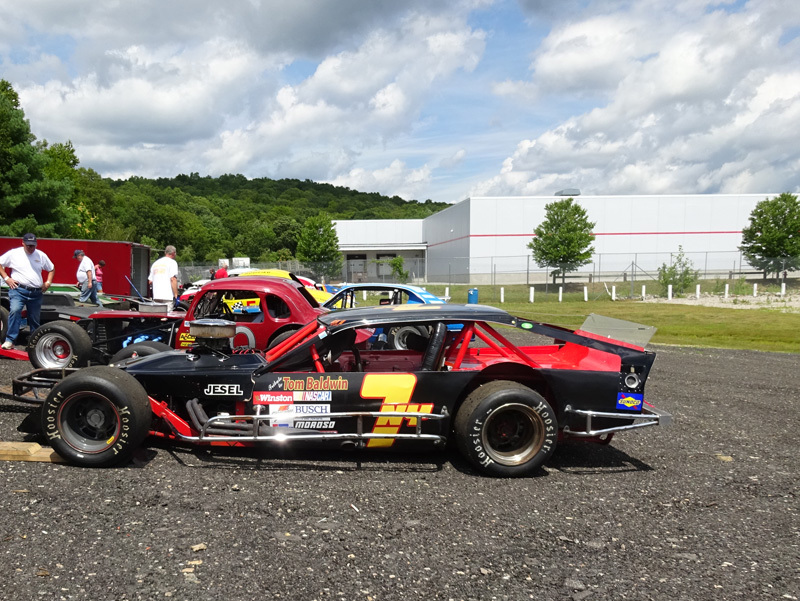 Available for sale were Danbury Racearena shirts and programs from the previous years. 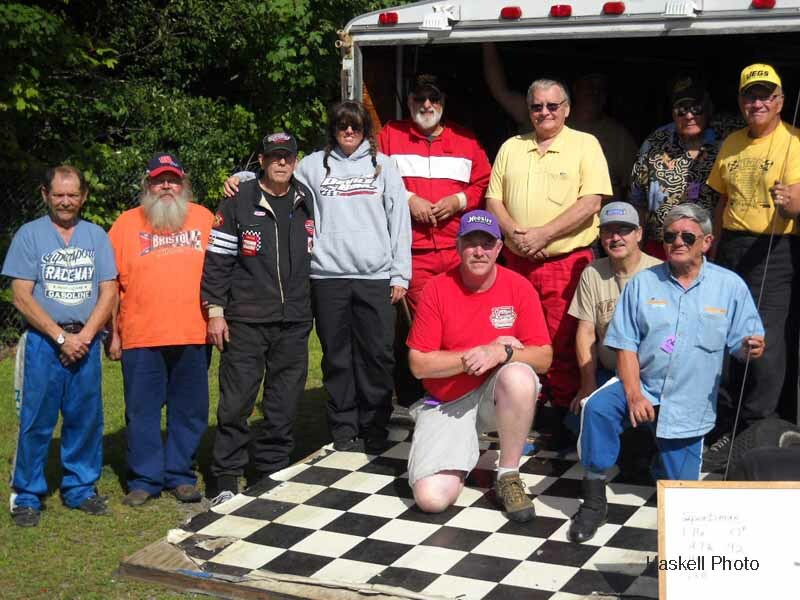 Thank you to all the committee members! 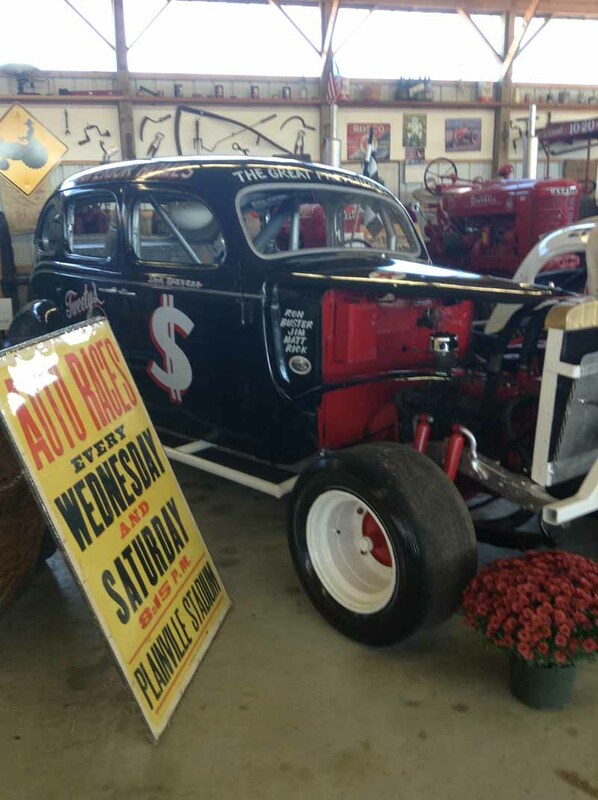 On static display was the completely restored # 73 Harmon Roofing 1934 Ford coupe powered by the traditional Danbury ‘Flathead V – 8. 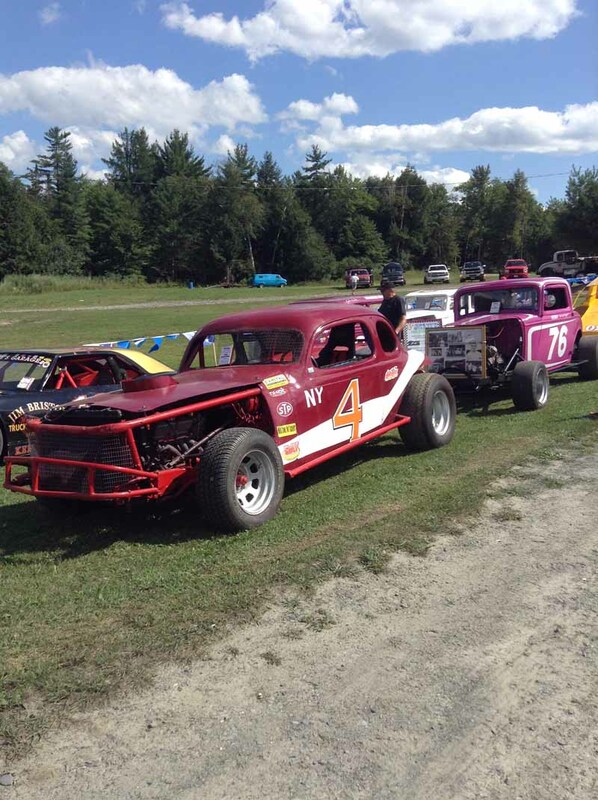 Thank you NEAR members for making the trip to this family friendly ¼ mile track in rural New York.Huge thanks to the Promoter Mike Hager, Don Lajoie, as well as those individuals who worked behind the scenes to honor EV Pierce and make this trip down memory lane possible.